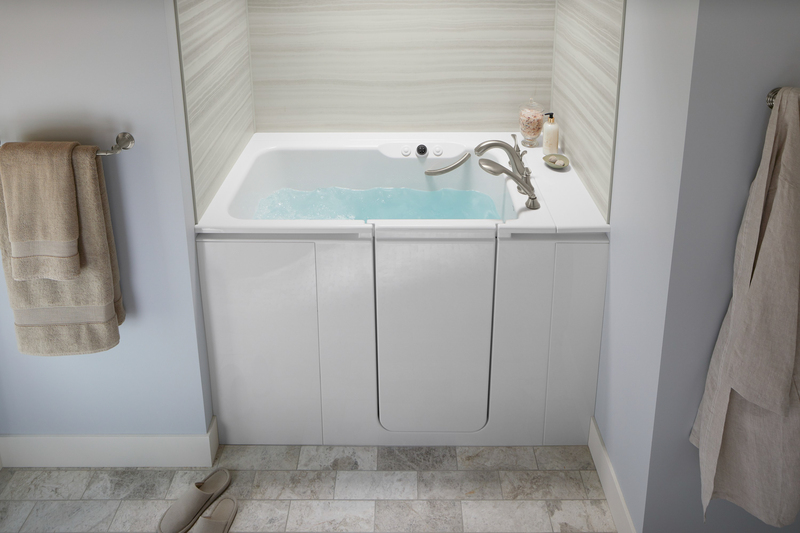 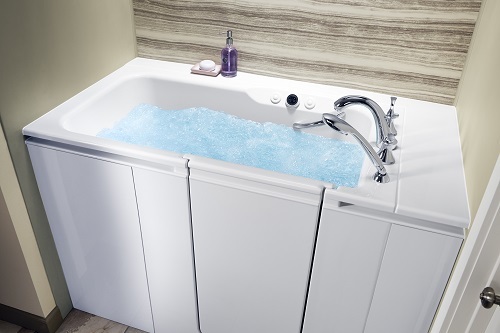 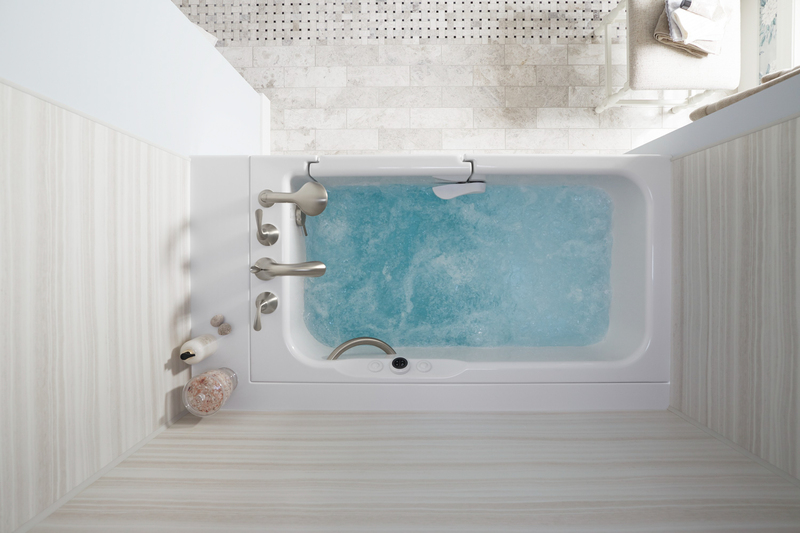 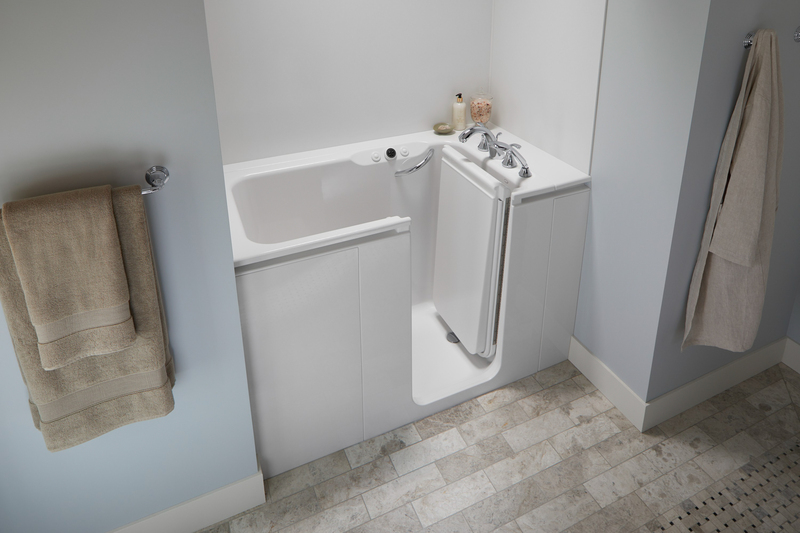 Kohler Walk-in tubs provide safety benefits that traditional bathtubs (and probably even some showers) consequently cannot offer. 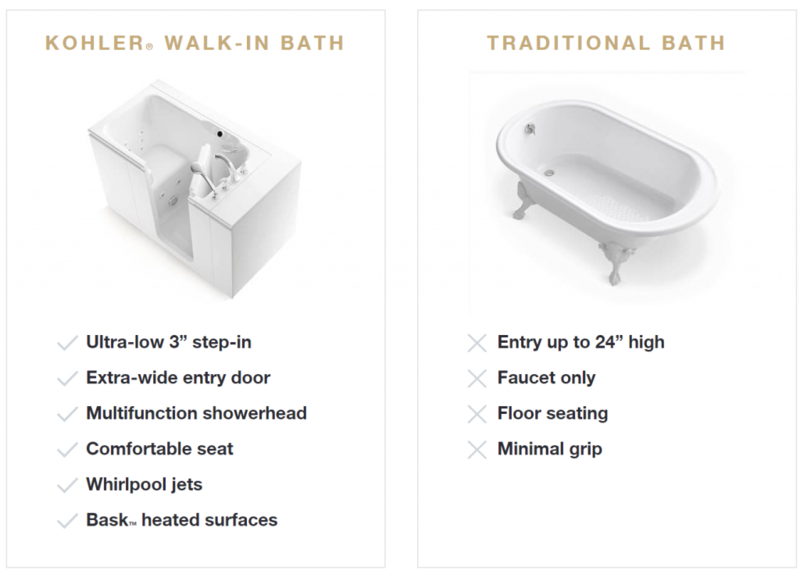 If you are considering a walk-in tub purchase, use this walk-in tub comparison tool to compare Walk-In Tub vs. 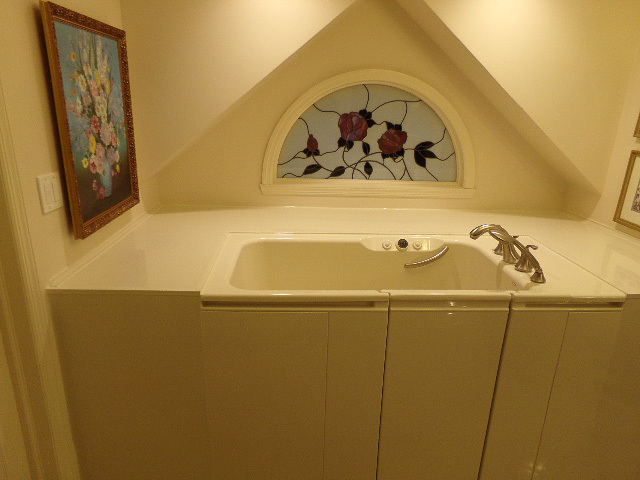 Traditional Bath. 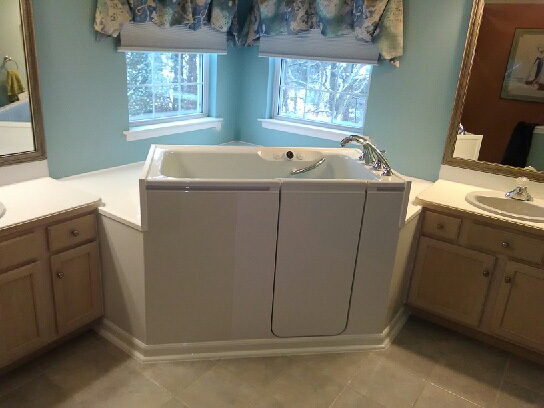 This walk-In tub comparison using a Kohler Walk-In Bath tub and a traditional bathtub. 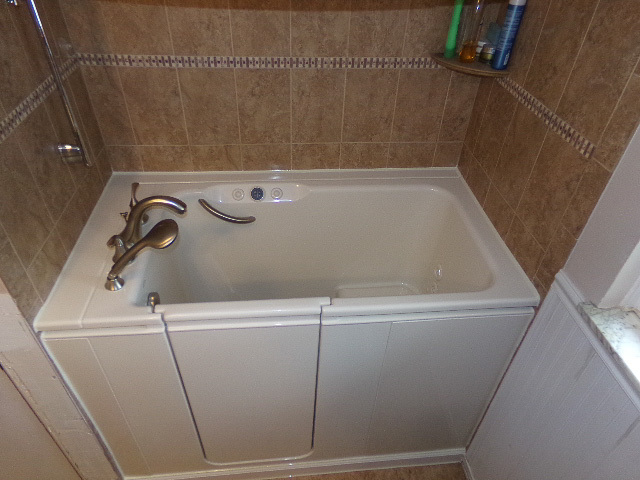 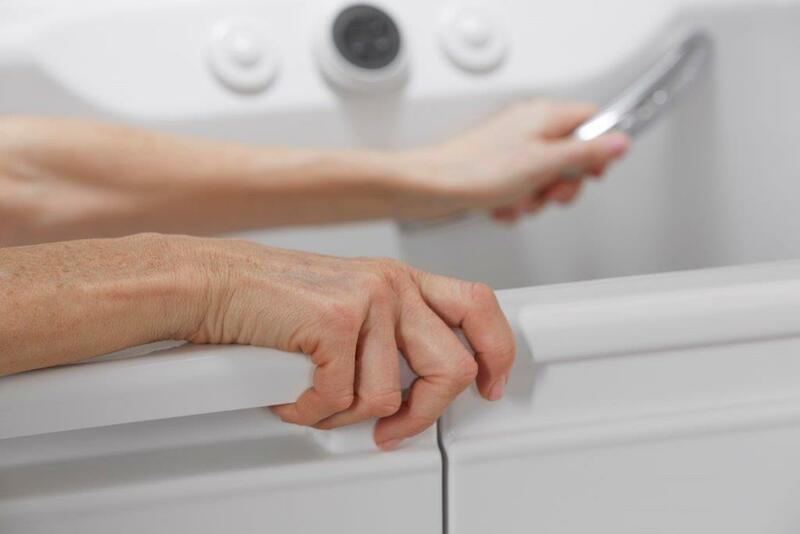 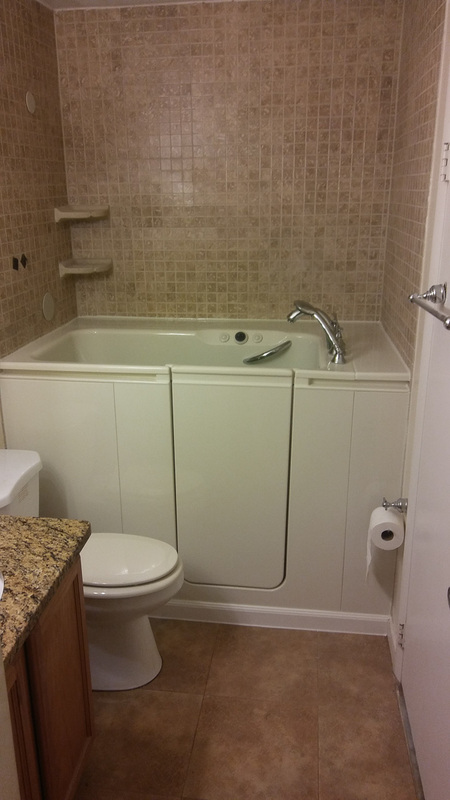 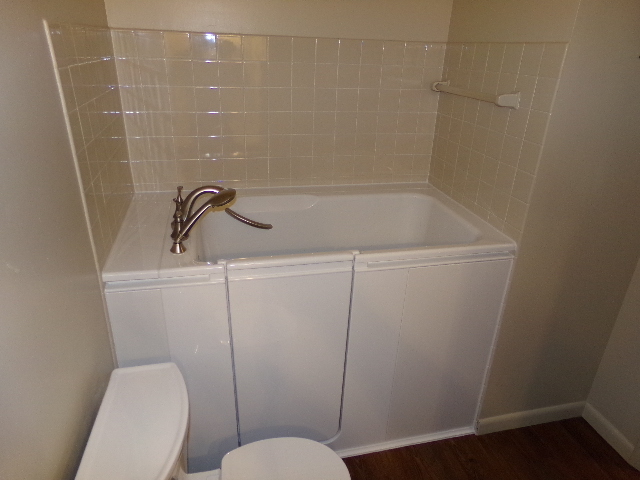 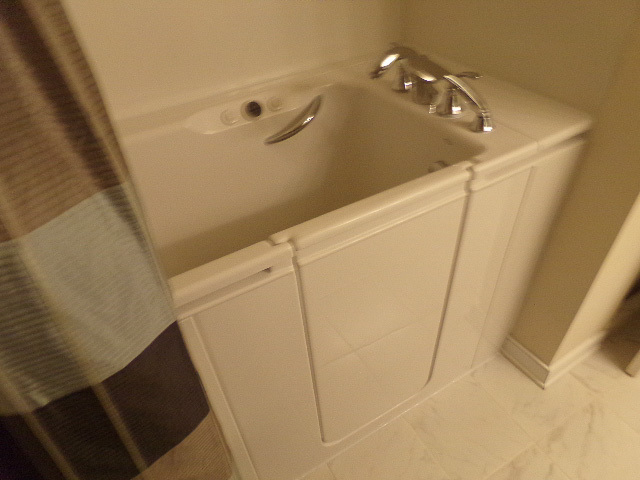 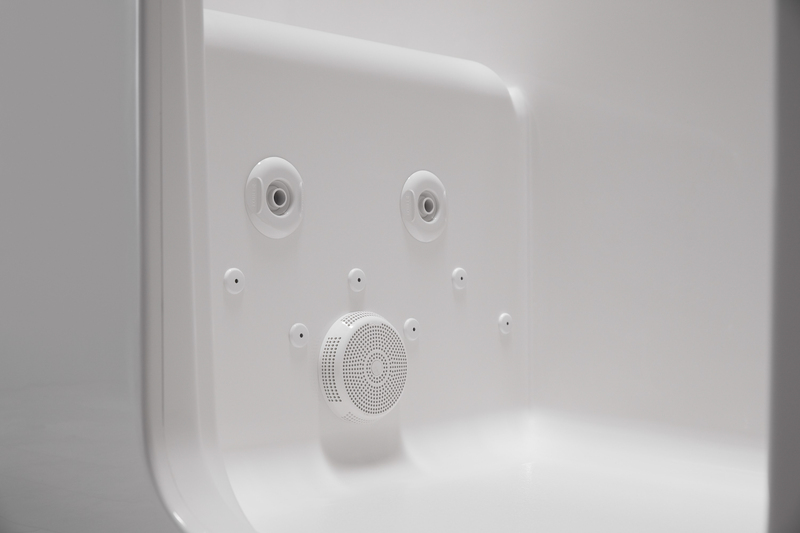 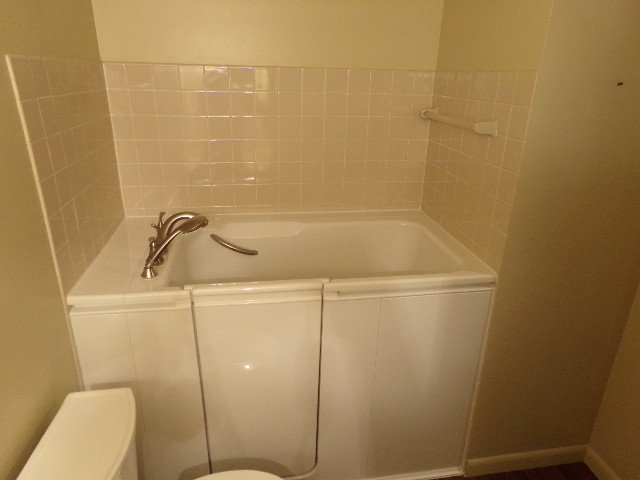 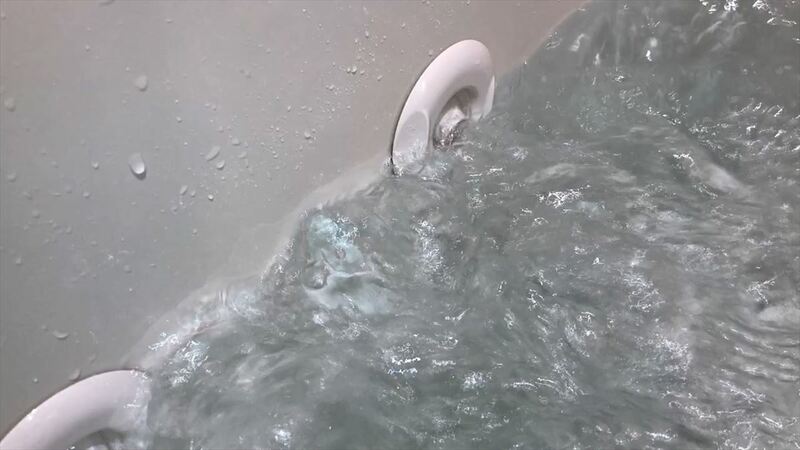 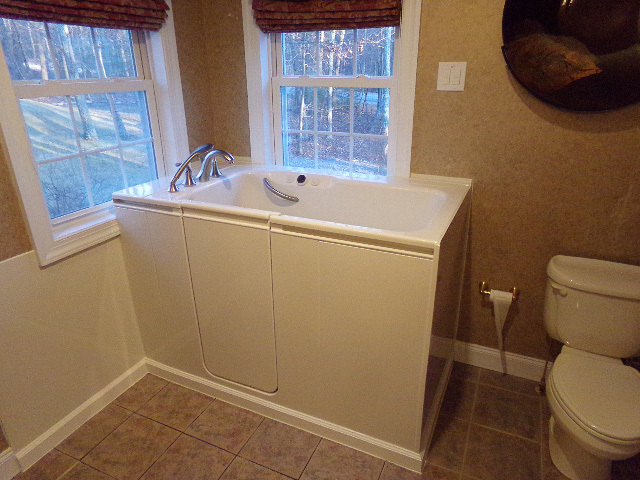 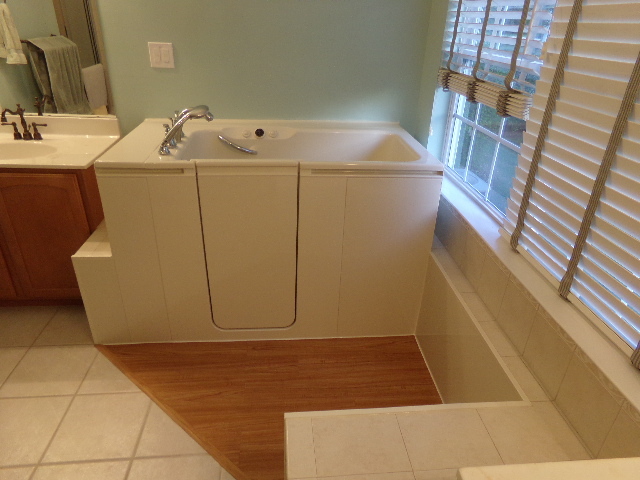 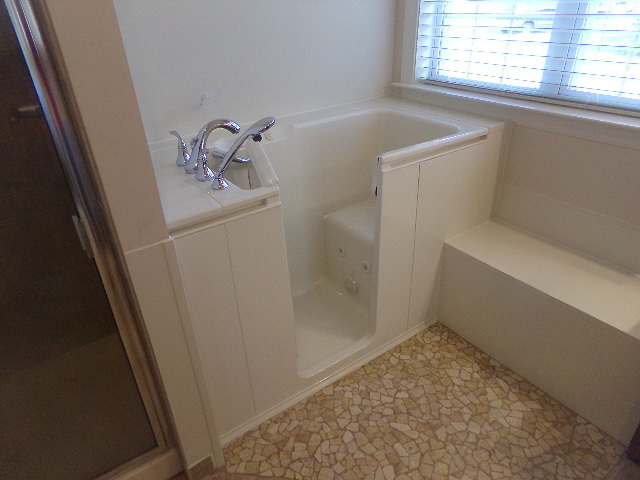 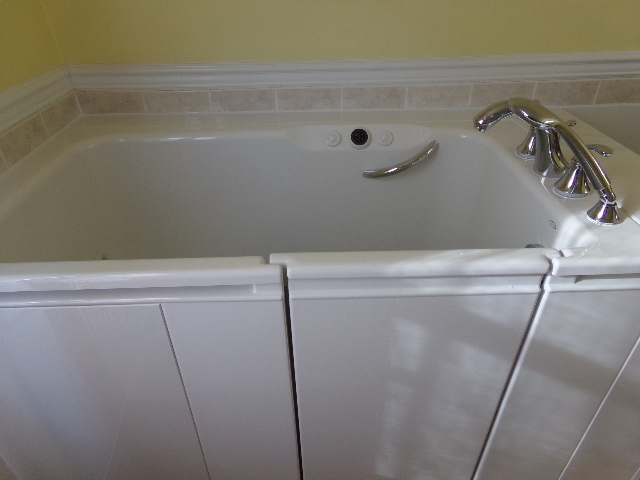 Let’s look at the safety issues that that consequently occur with both baths. 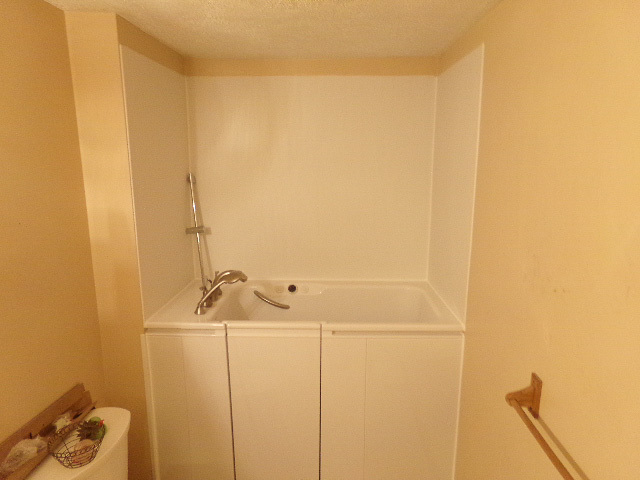 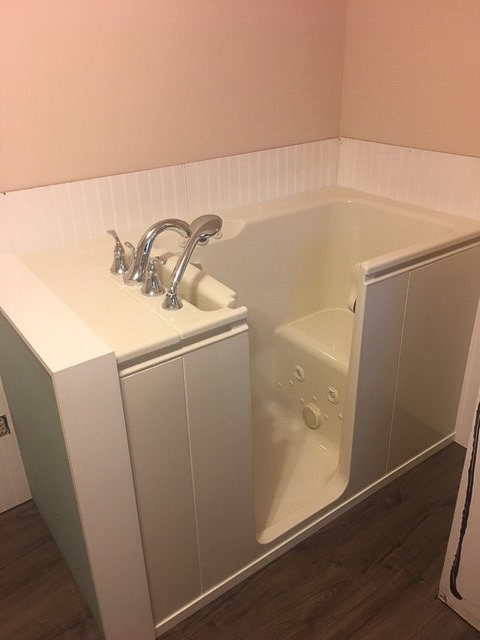 Walk-in tub comparison tool. 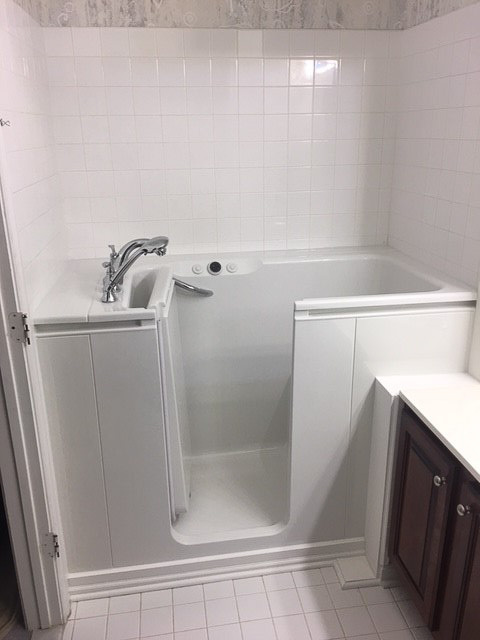 What is ideal for your needs? 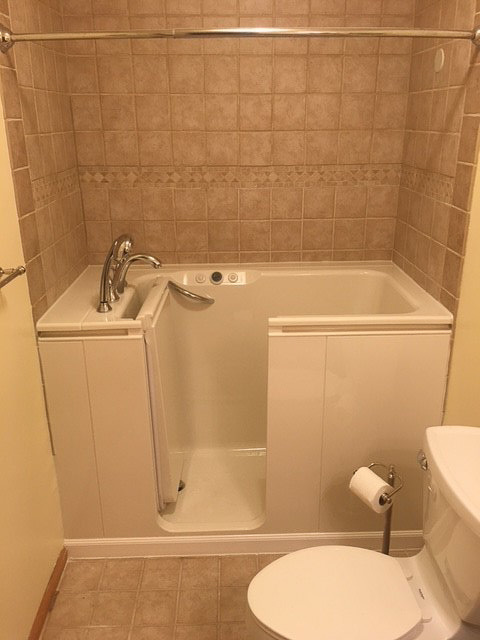 Walk-In Tub or Traditional Bathtub? 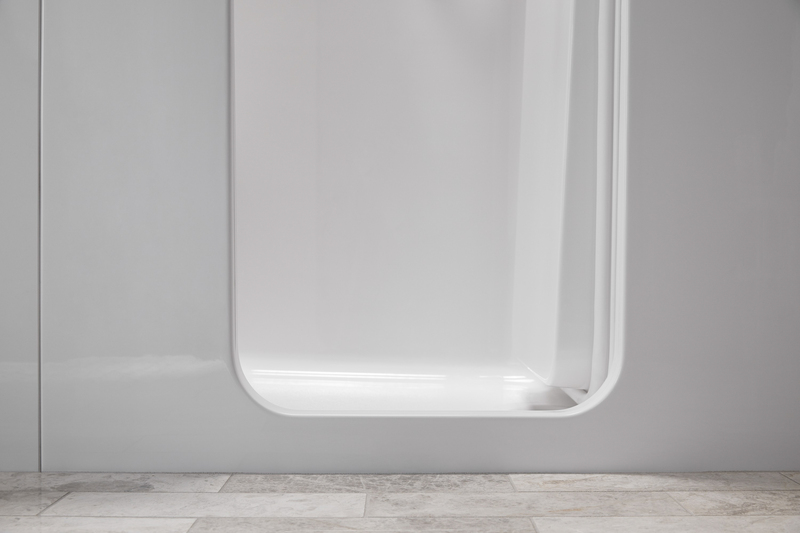 Kohler has over 143 years of experience and has therefore perfected the walk-in tub with the Kohler Belay Walk-In Bath tub. 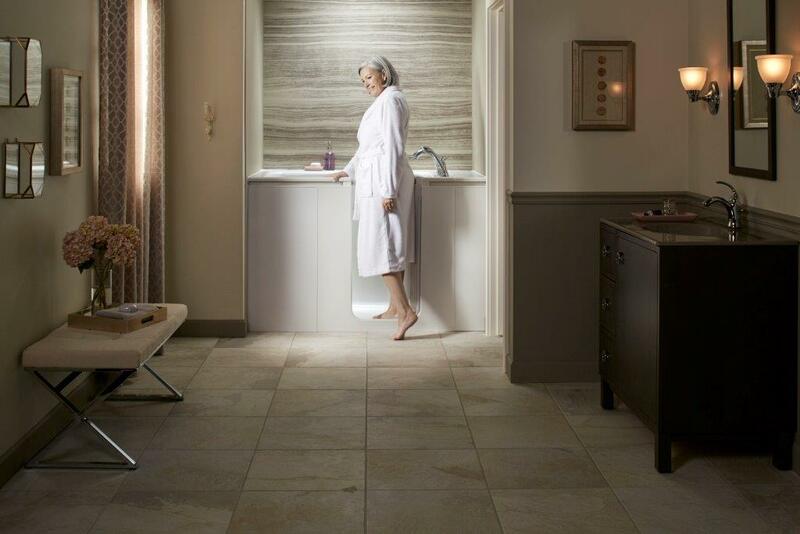 Kohler Company is the only walk-in tub company that also operates a water spa, The Kohler Waters Spa. 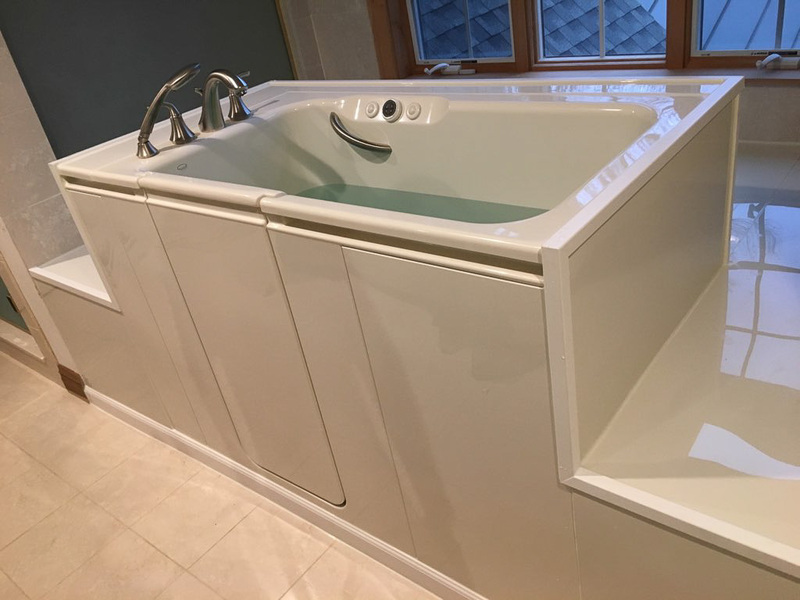 The spa engineers have drawn on the art and science of massage and therapies offered at the spa and integrated like features into the Kohler Walk-In Bath tub. 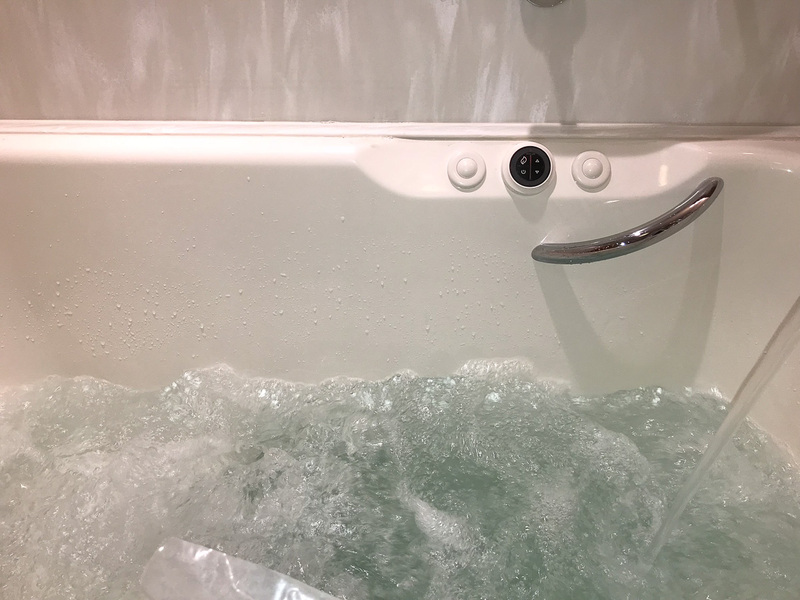 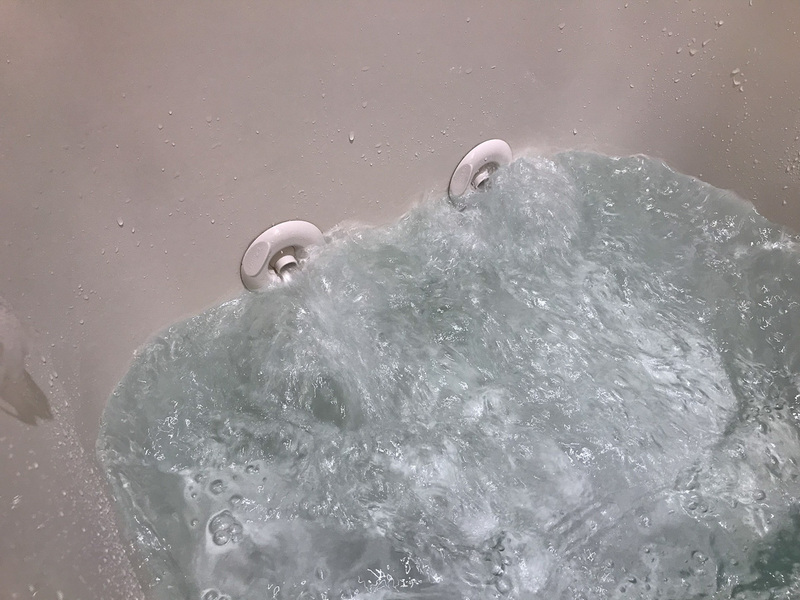 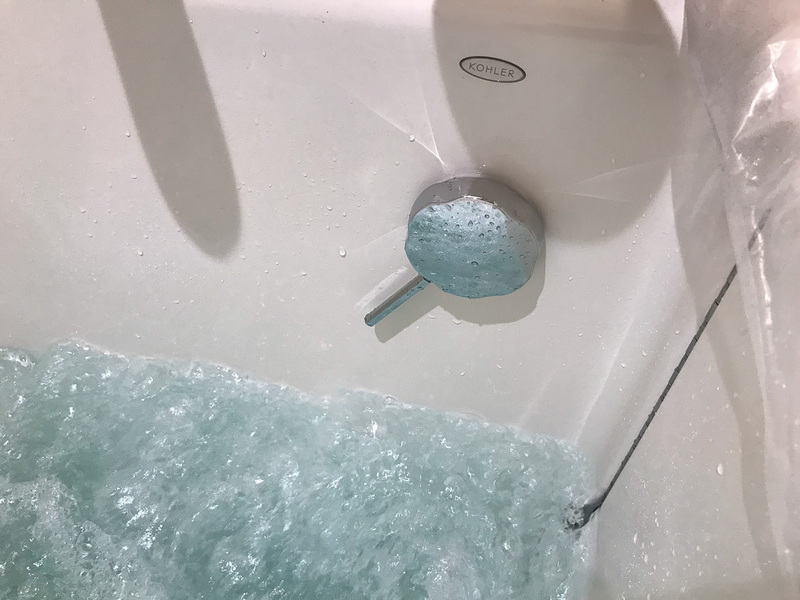 As a result, the tub offers therapeutic water treatments including hydrotherapy massaging jets alone your legs, feet and spine. 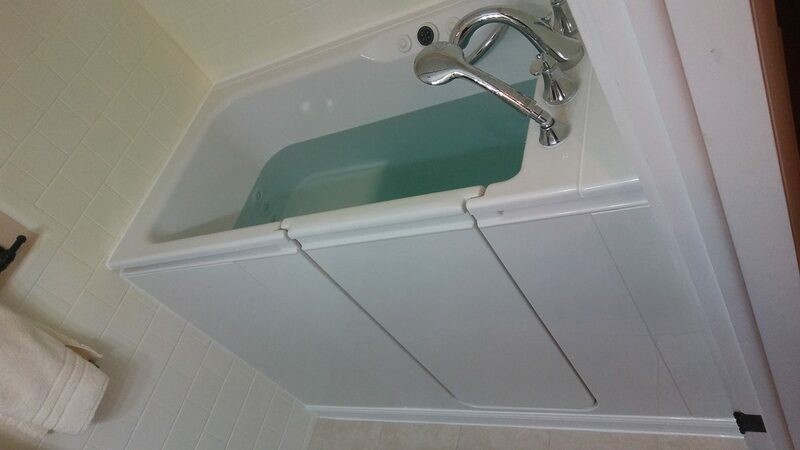 Traditional bathtubs usually do not have jets and the garden tubs that do are even more dangerous with high walls and platforms. 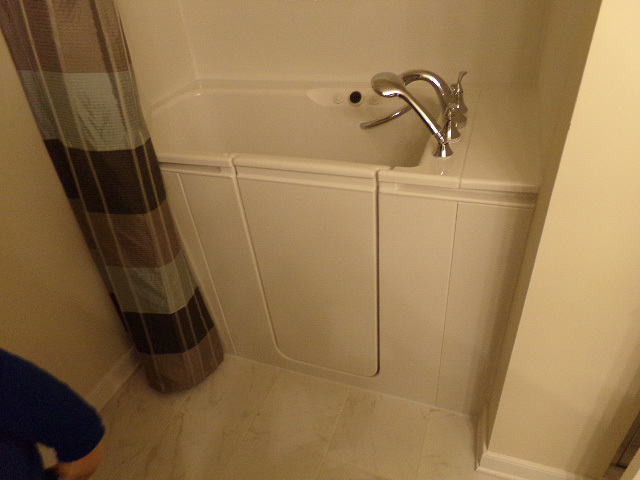 The handheld shower sprayer wand is very important inside the walk in tub. 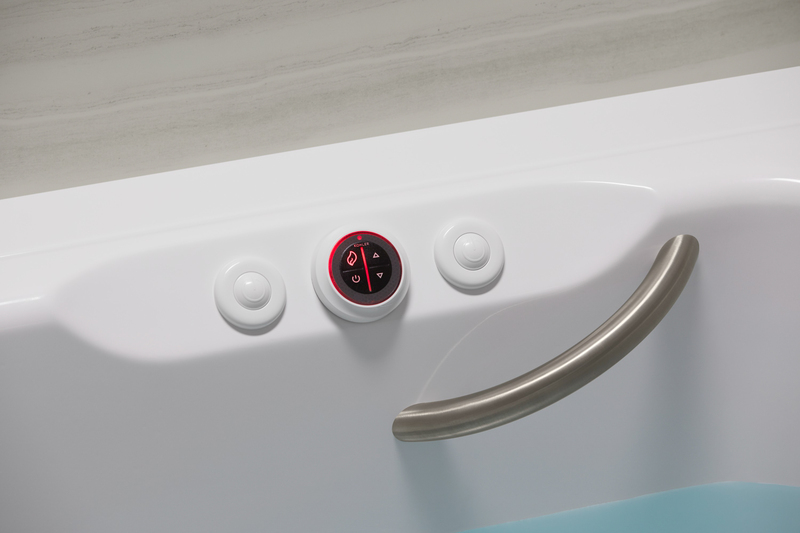 It gives you easy access to the temperature and flow controls to direct water where you need it. 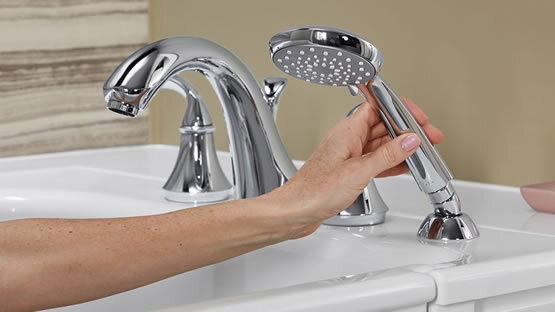 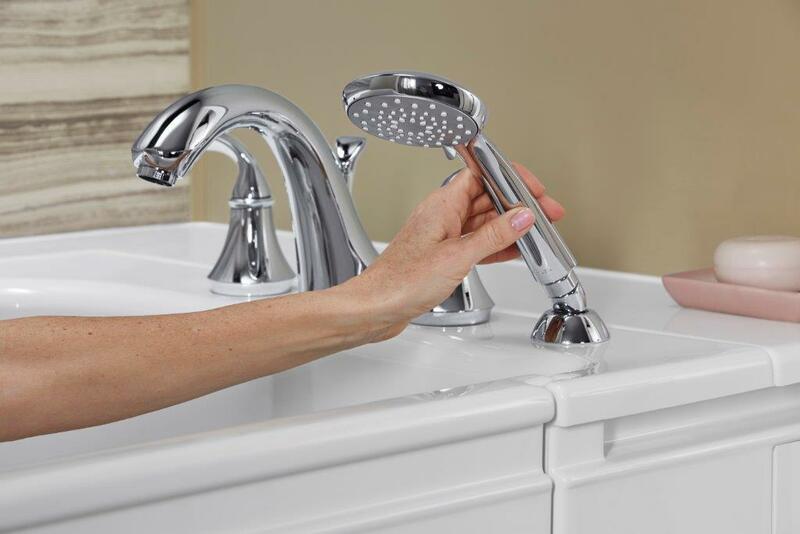 The anti-scald water faucet will ensure you are safe and warm while bathing. 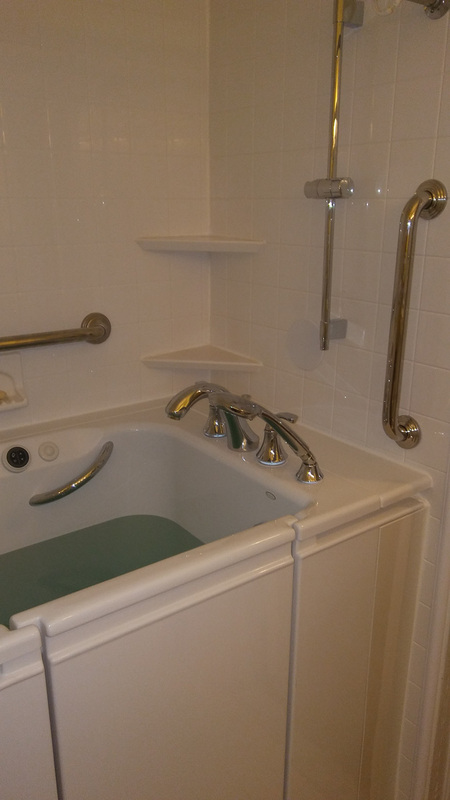 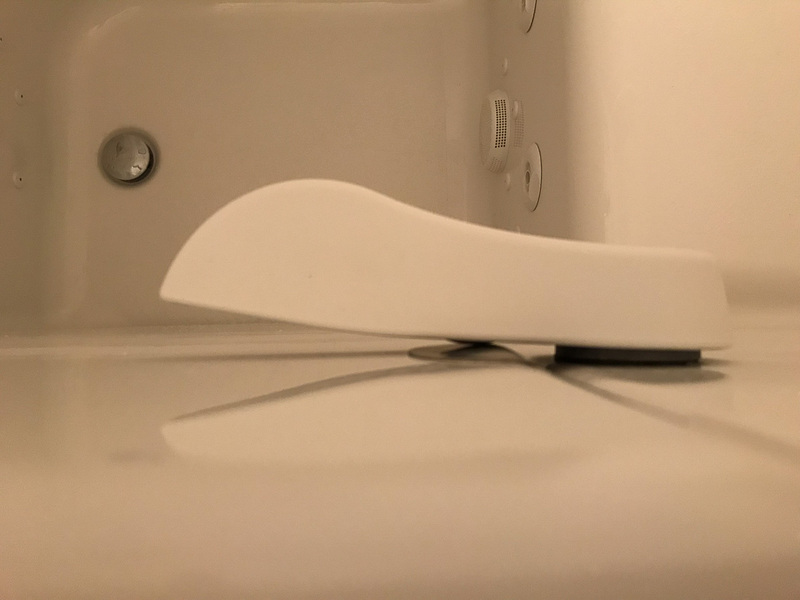 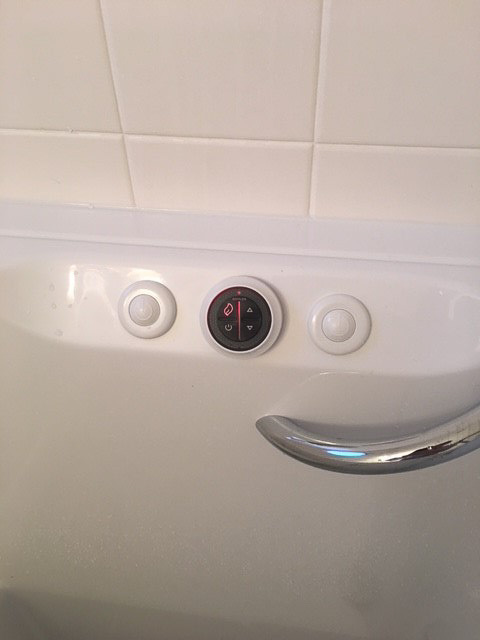 In traditional bathtubs, there is one (maybe two) stationary faucets that are not reachable when lying down. 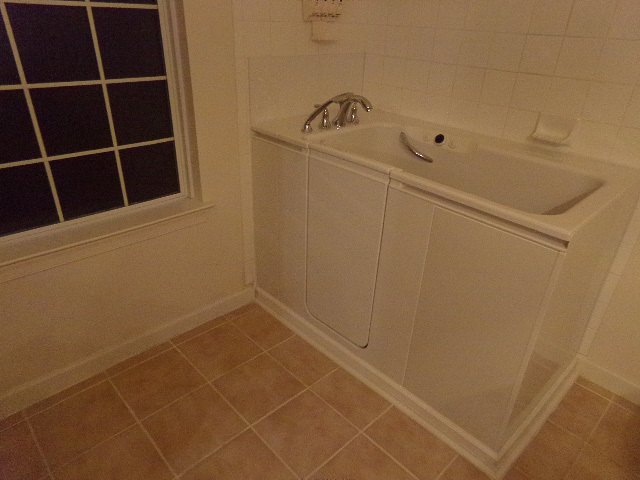 Speaking of laying down… Can you lay on the floor and easily stand up independently? 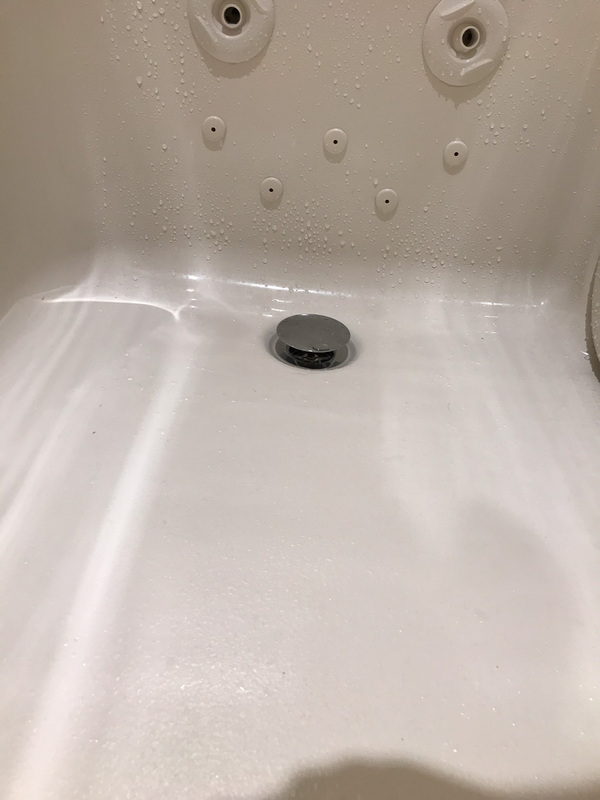 How about on a wet surface? 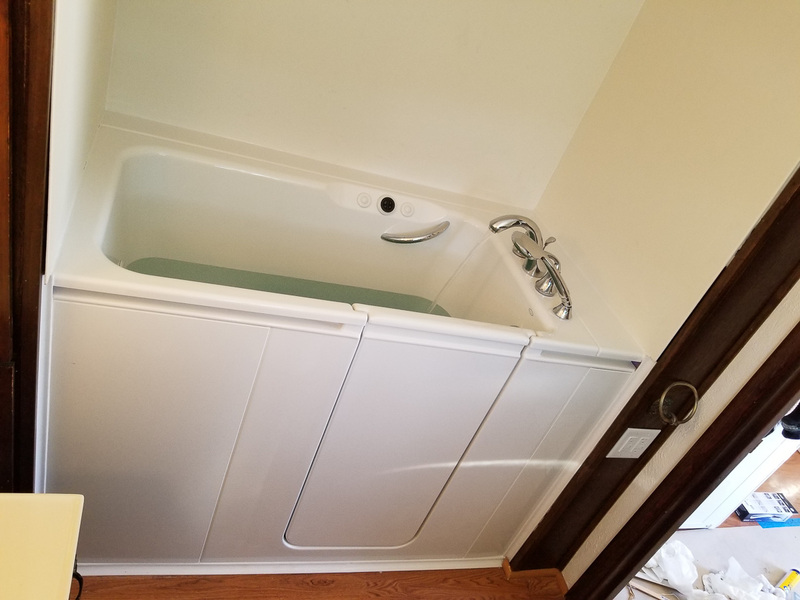 For example, stepping into a traditional bathtub and laying down on the floor of the tub would probably be difficult for some. 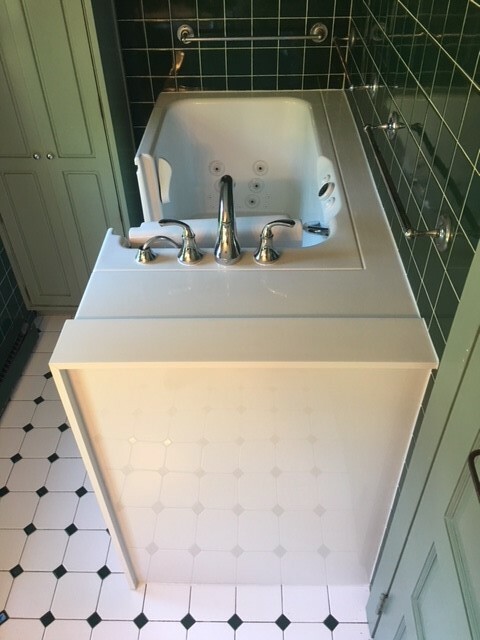 Standing up from the lying down position will be definitely impossible for others. 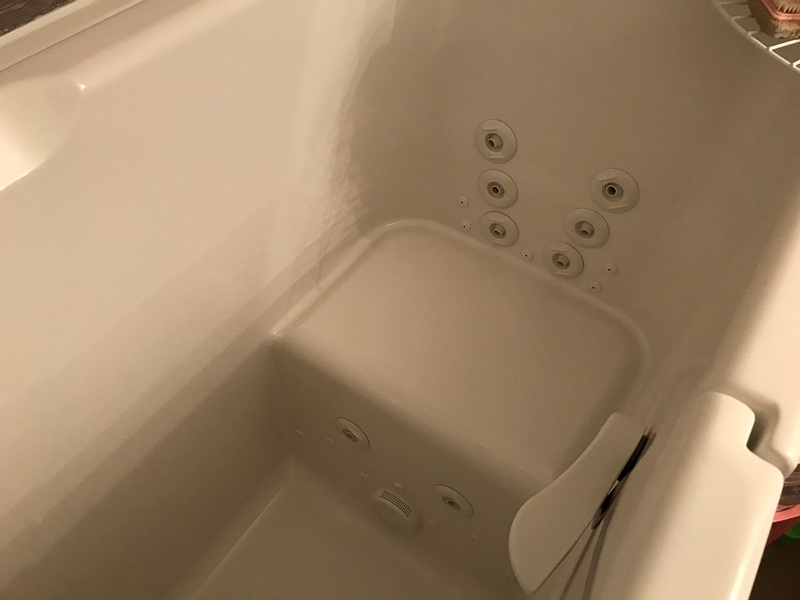 Walk-In Tub comparison. 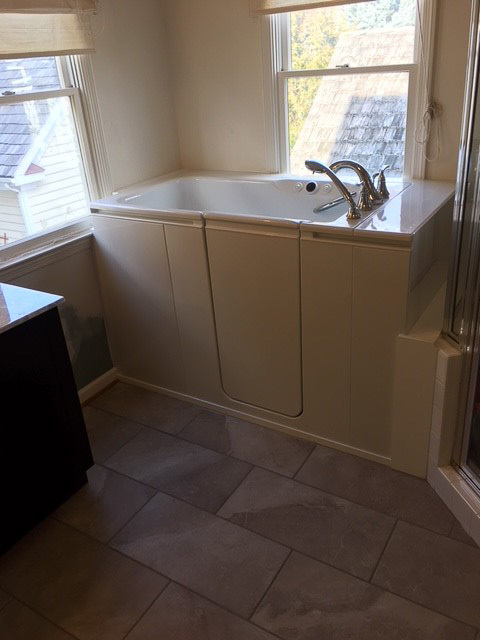 The Kohler Walk-In Tub most noteworthy has a wide, low step in door with an ADA approved seat that is warmed for your back and neck. 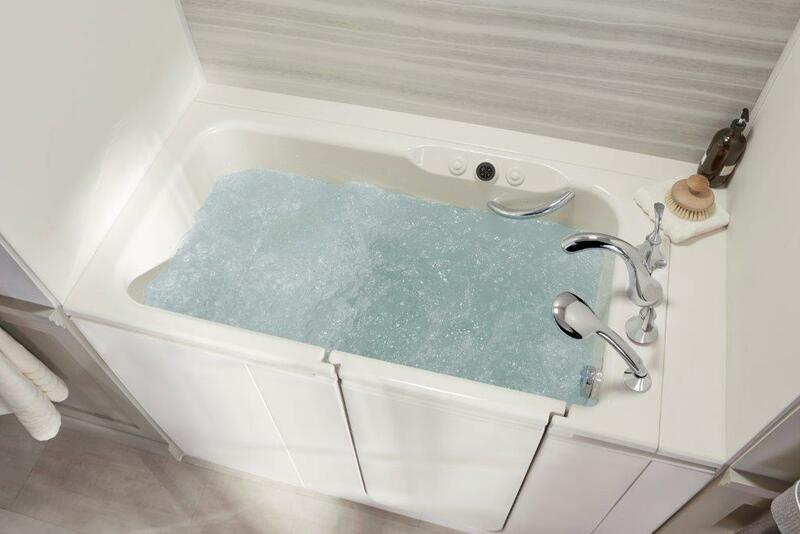 Finally you can be submerged in a warm, enjoyable bath and there is no difficulty entering or exiting the bath. 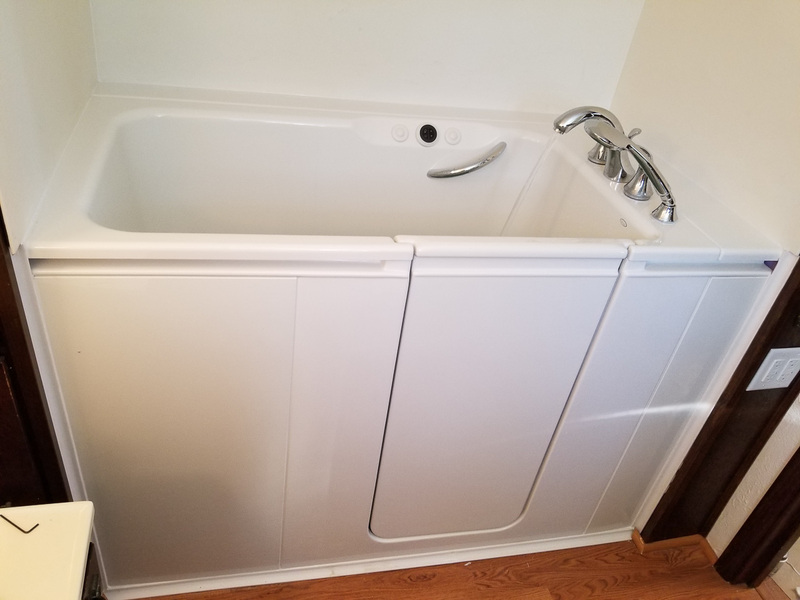 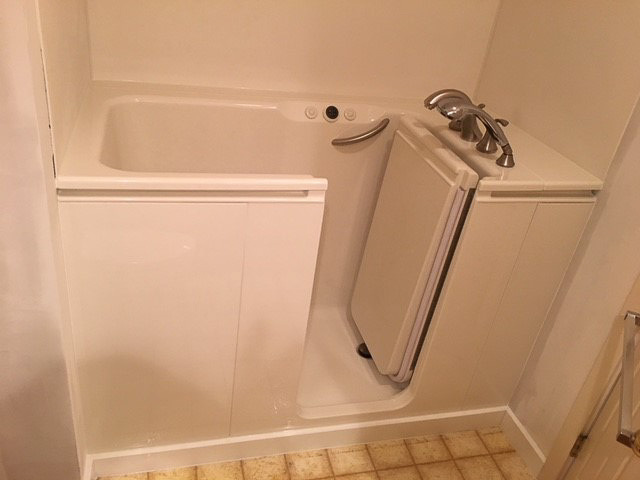 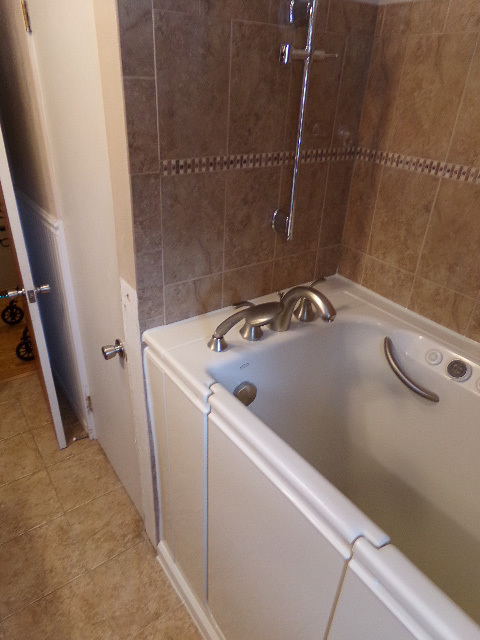 If you need to convert your unsafe bathtub to walk-in tub, Home Smart can schedule your free in-home Safety Consultation. 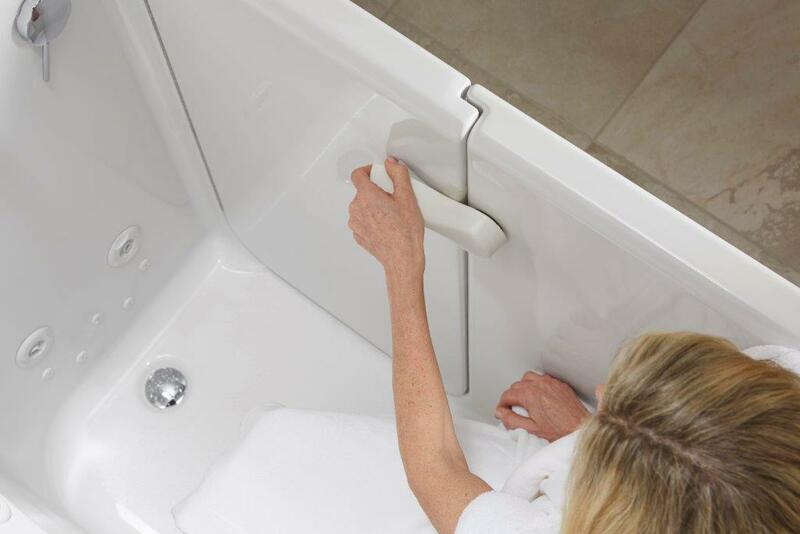 Our Kohler trained and certified Specialists can assess your individual safety needs and design an accessible bathtub, above all keeping you safe and independent. 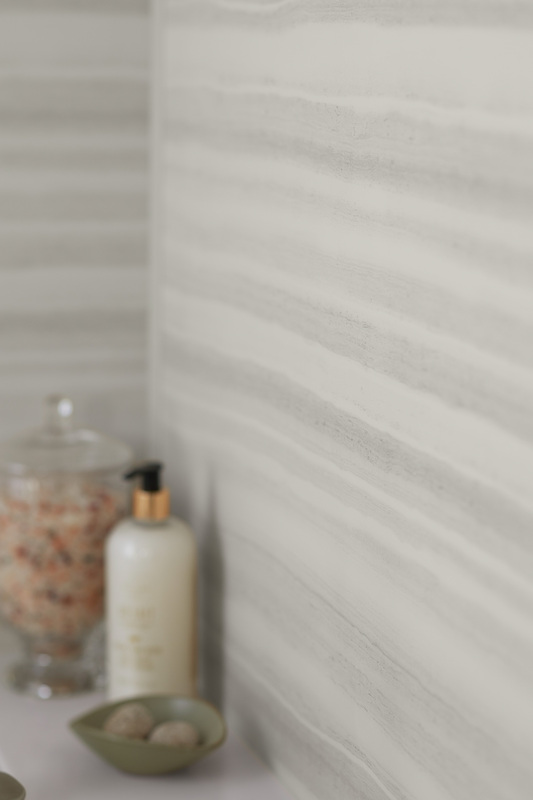 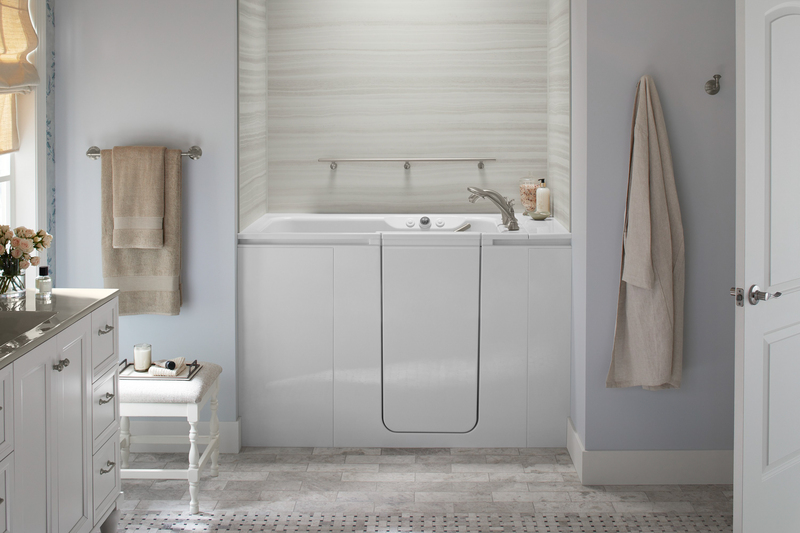 Home Smart Industries is your exclusive Kohler Walk-In Bath Dealer in the Tri-State area. 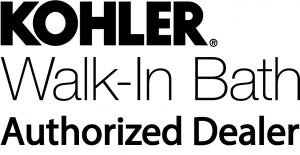 For that reason, we are certified and trained by Kohler to bring you the safest Walk-In tub cost price that everyone can afford. 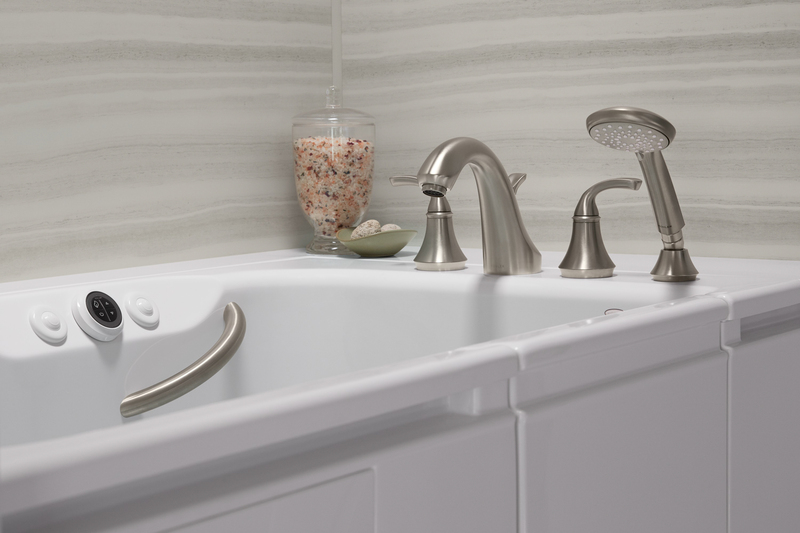 Check out our financing offers, and not to mention, including 0% interest payment plans. 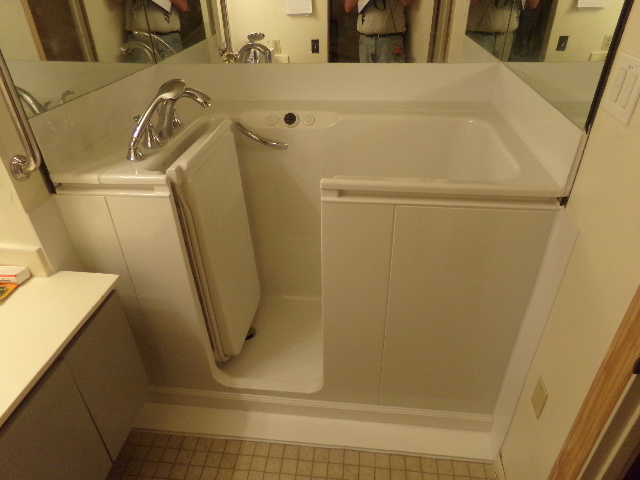 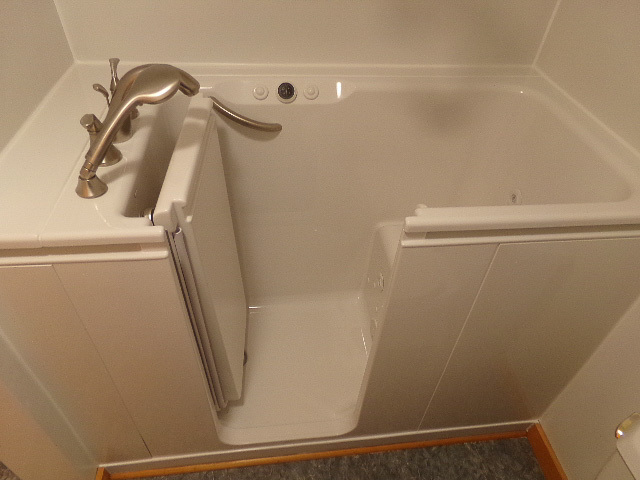 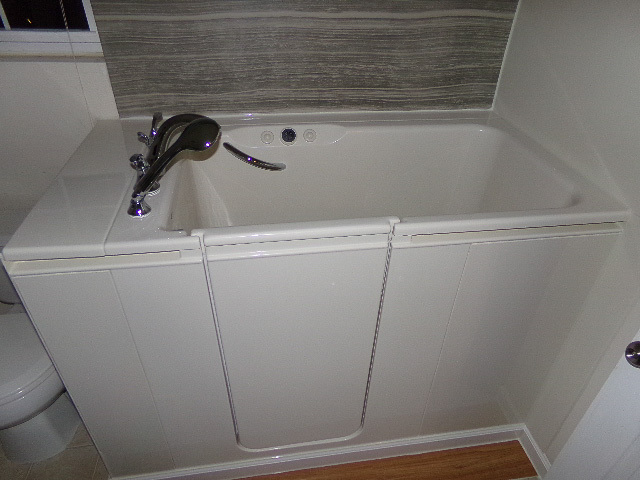 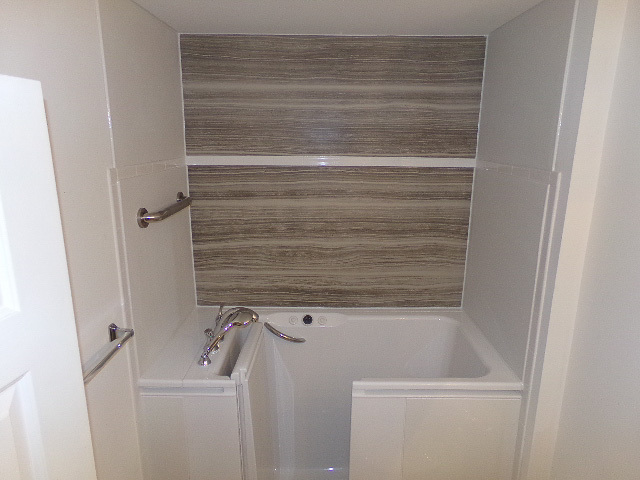 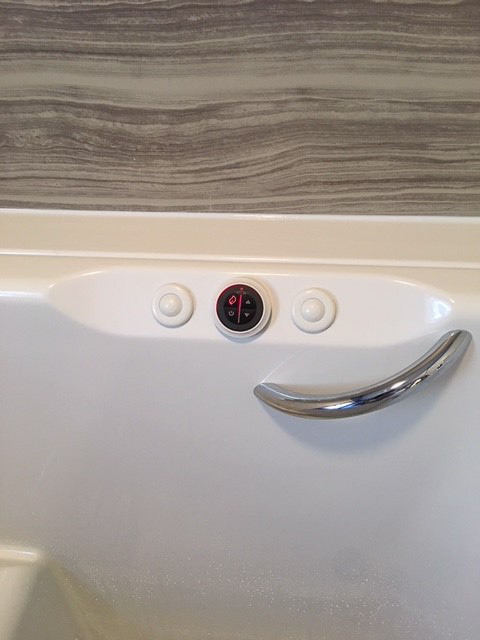 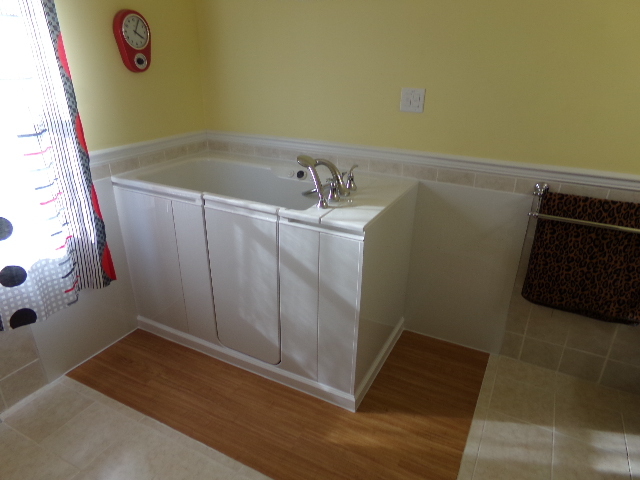 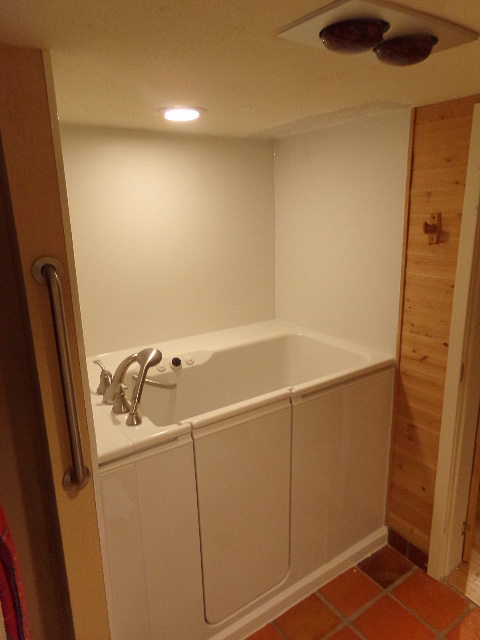 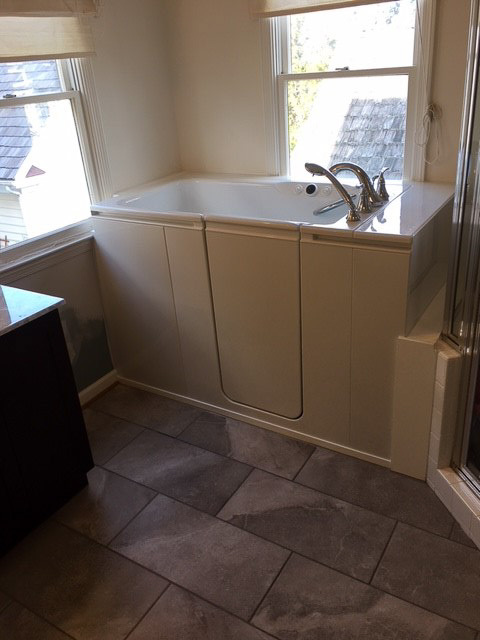 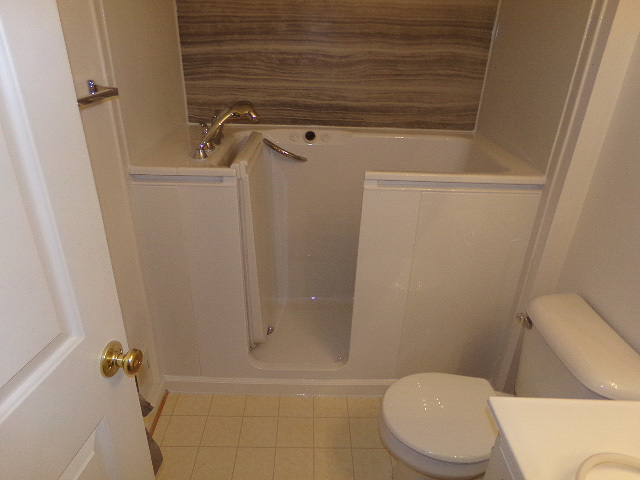 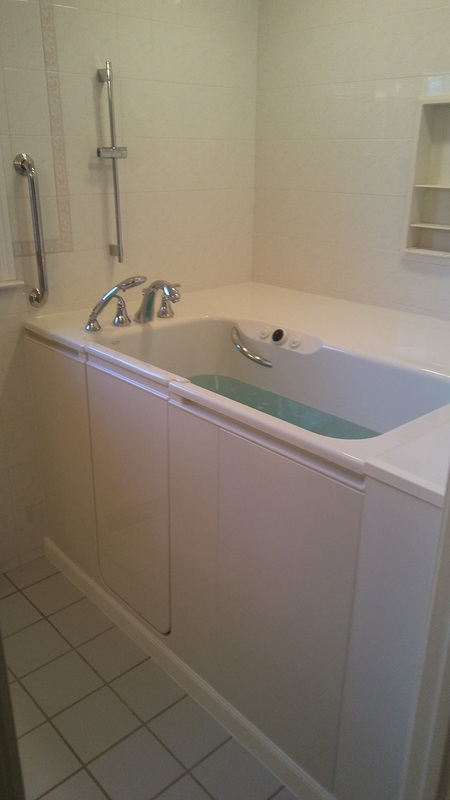 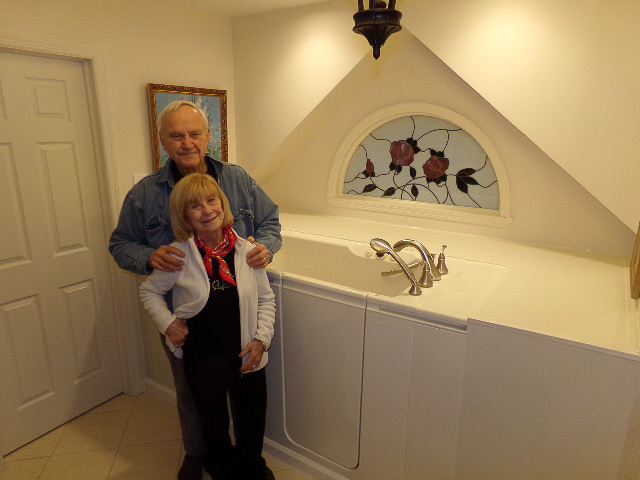 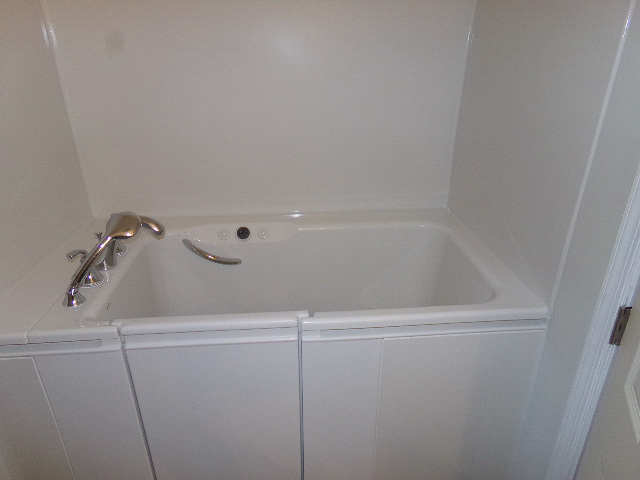 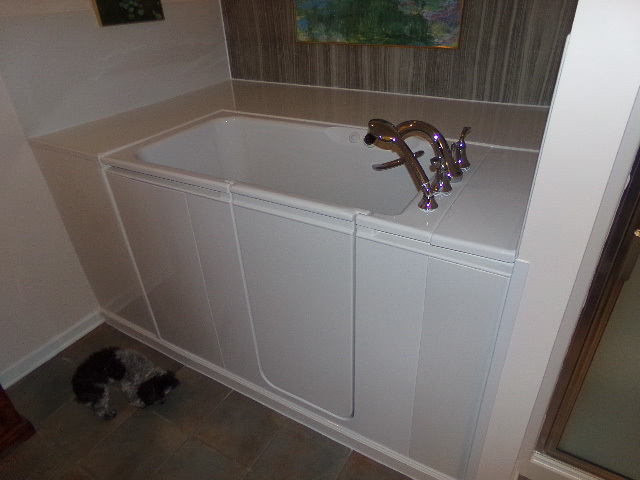 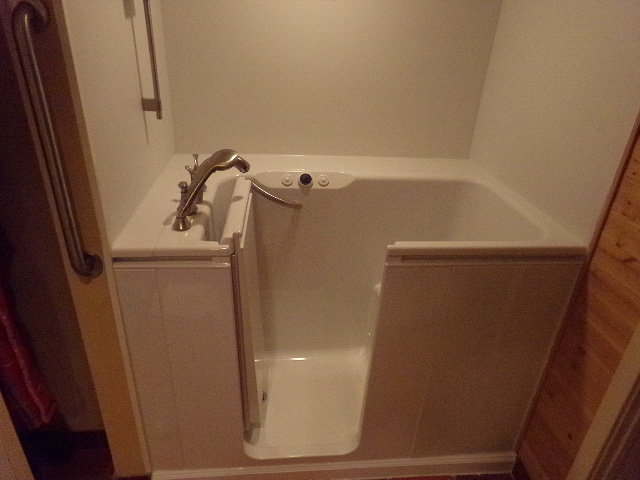 We would like to advise that Roy and Mike were superb in the installation on our walk-in tub. 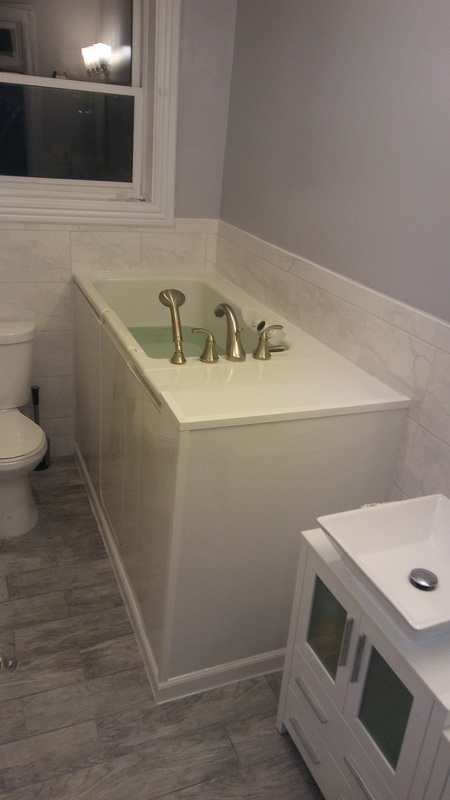 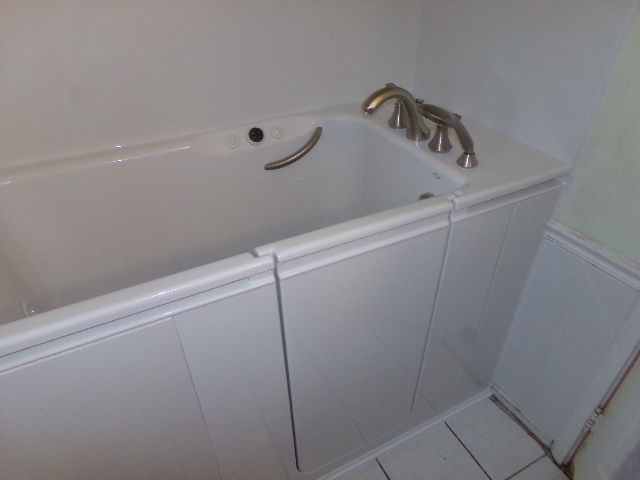 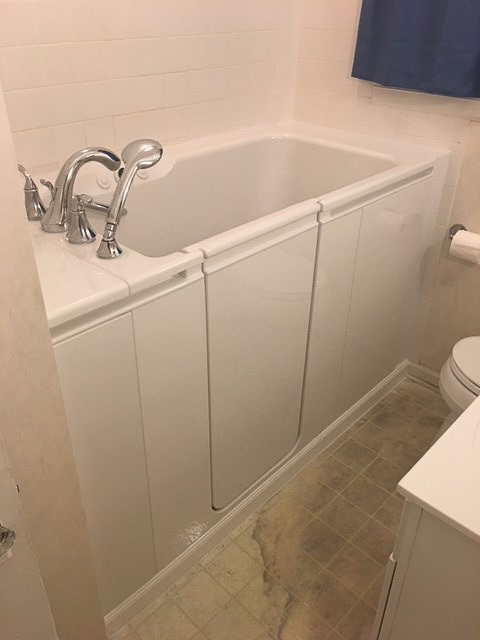 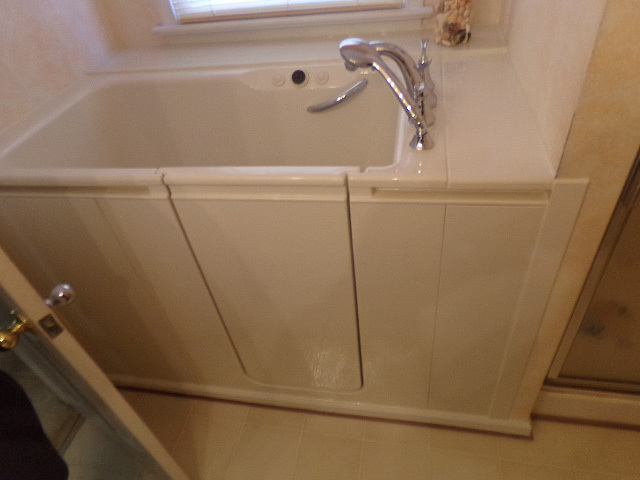 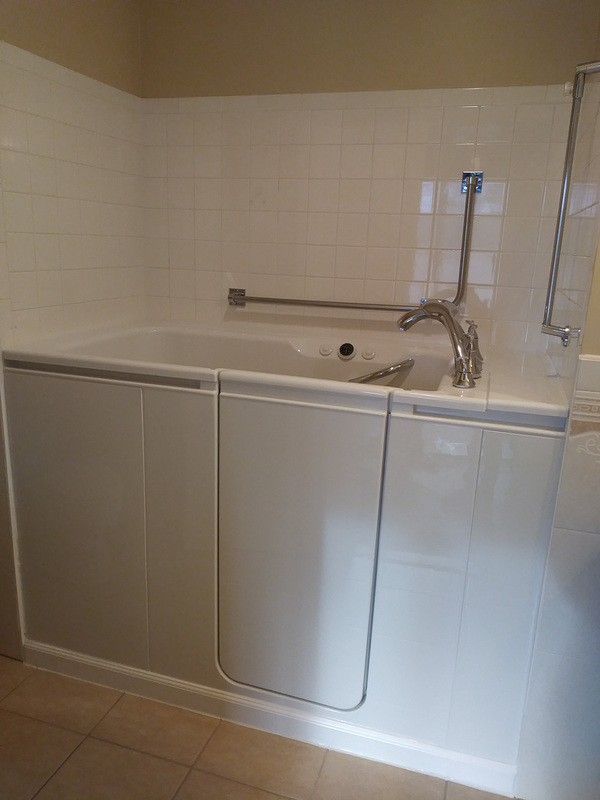 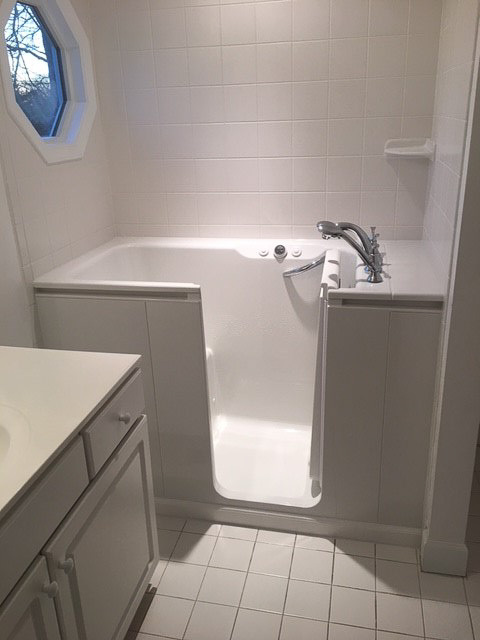 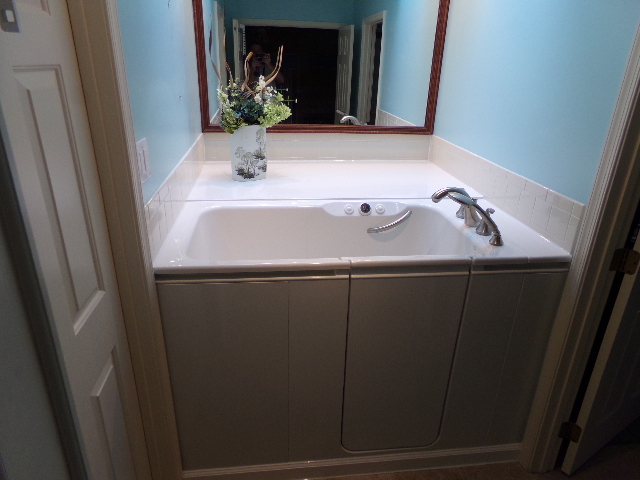 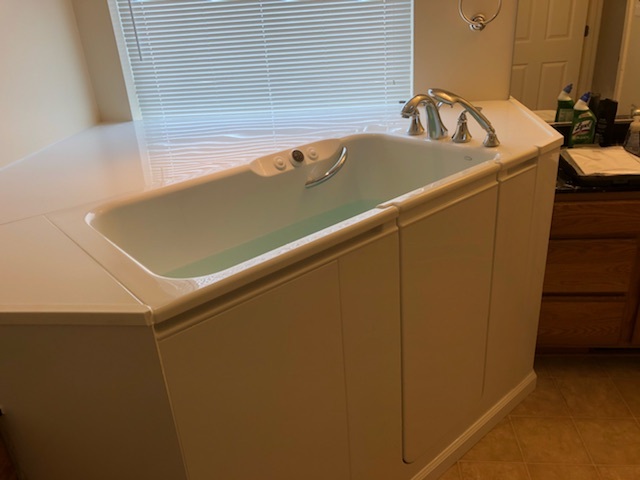 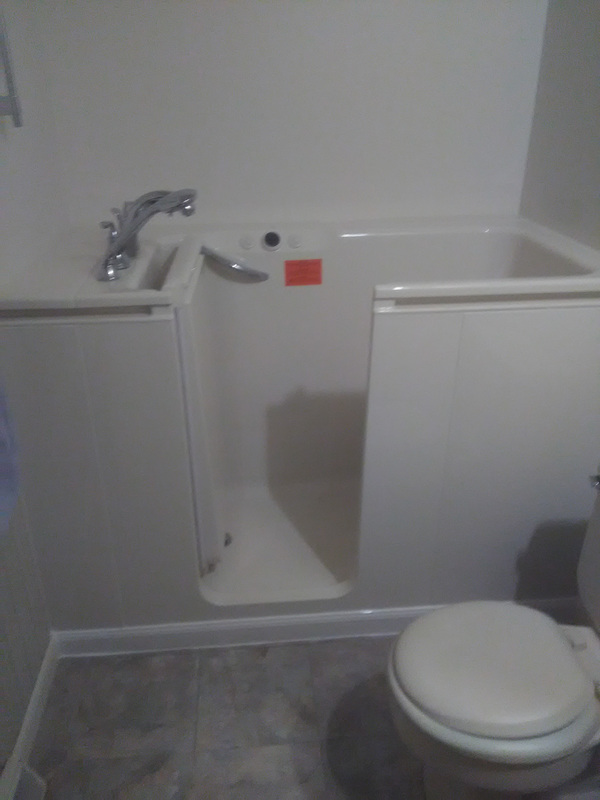 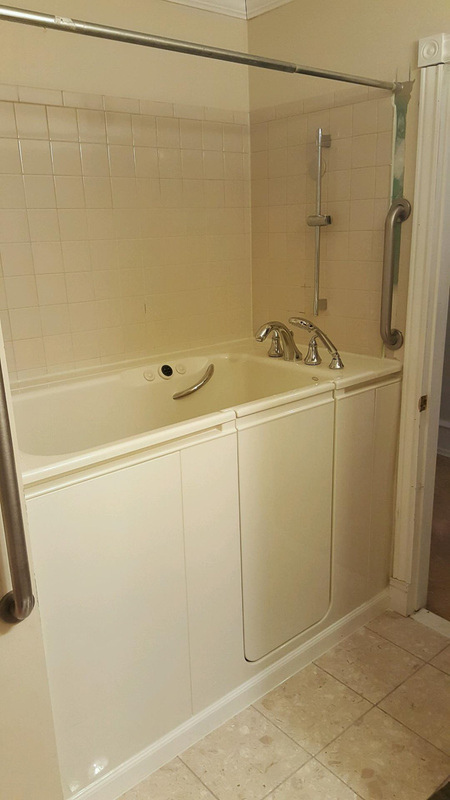 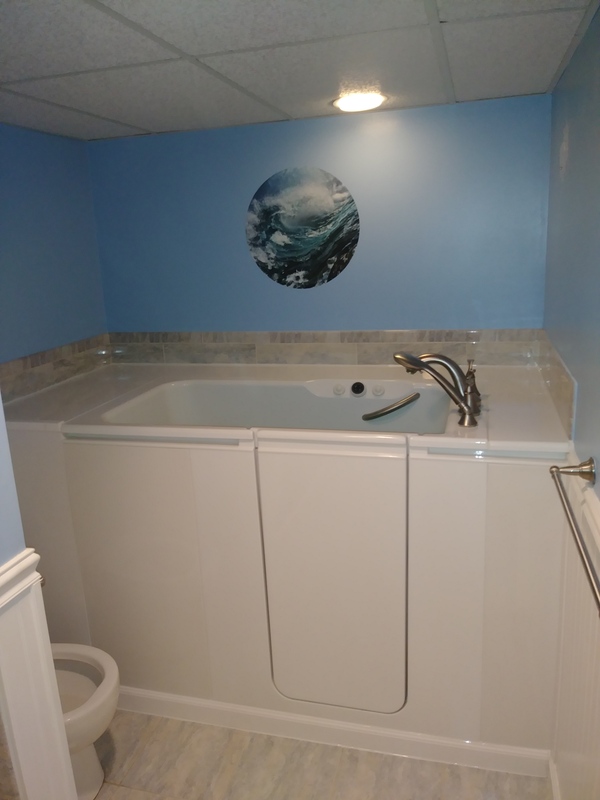 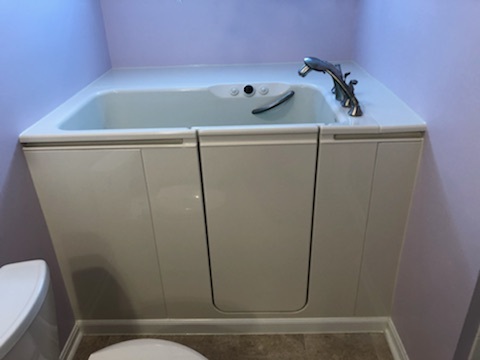 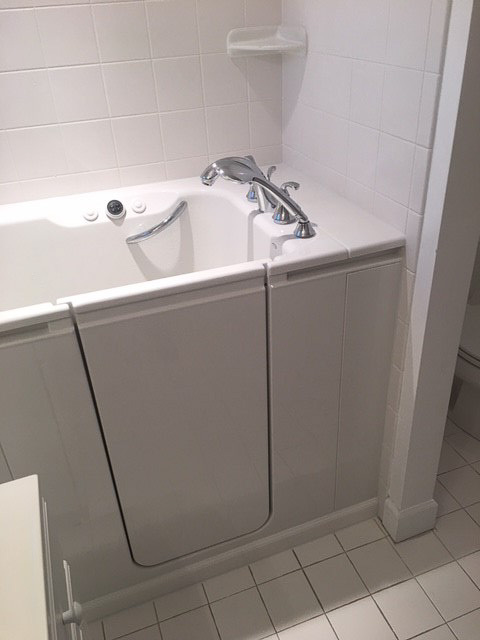 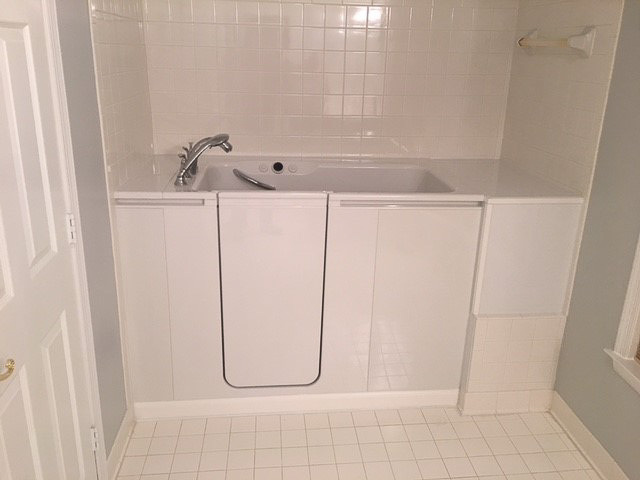 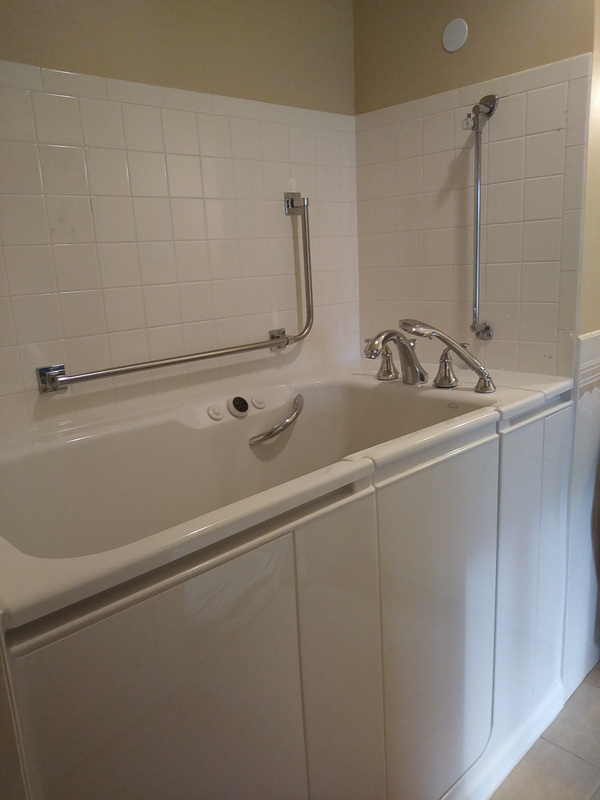 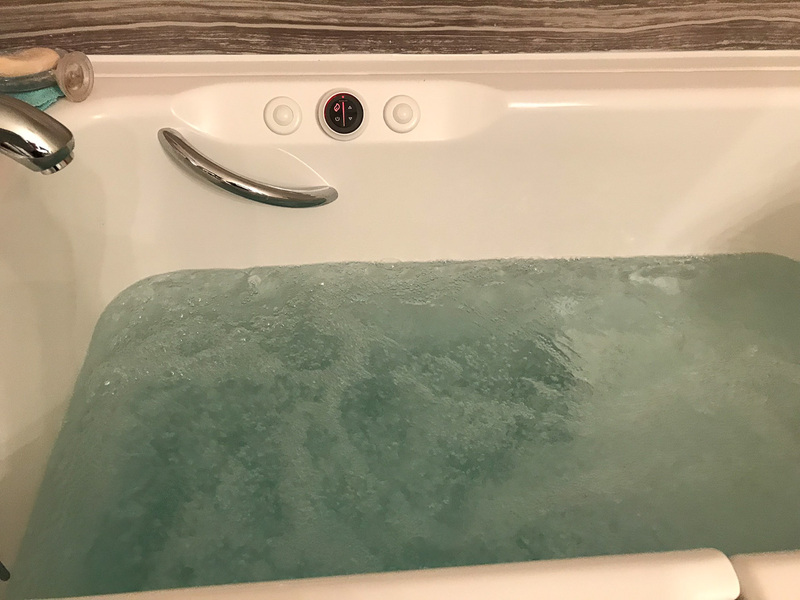 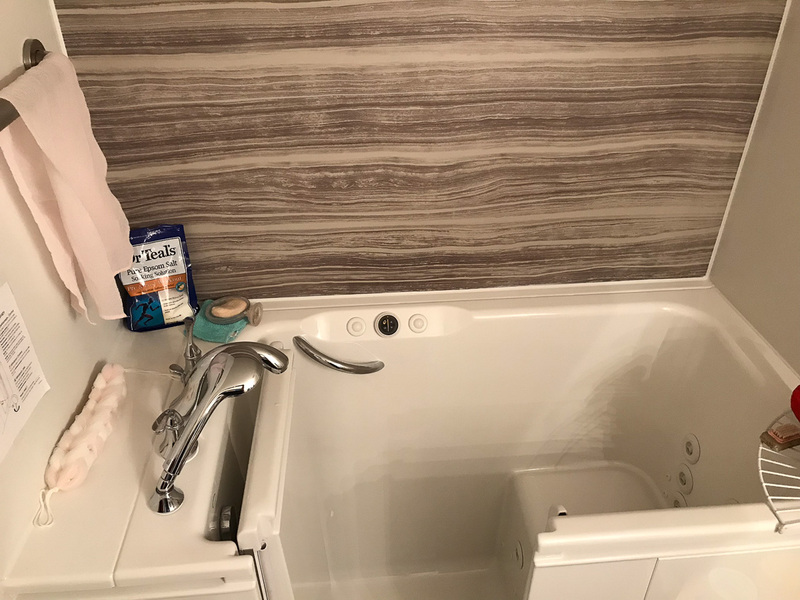 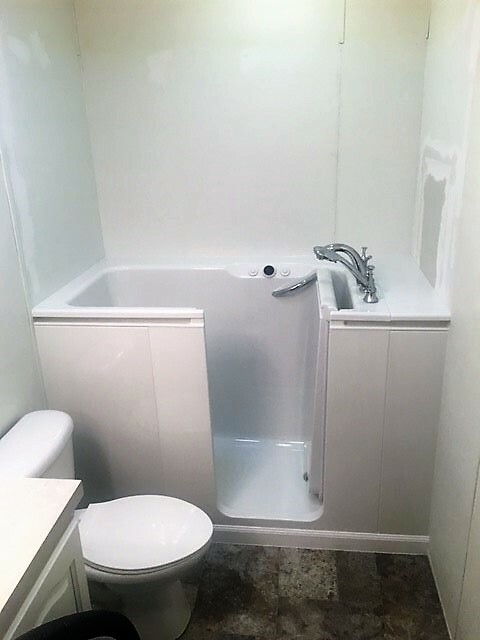 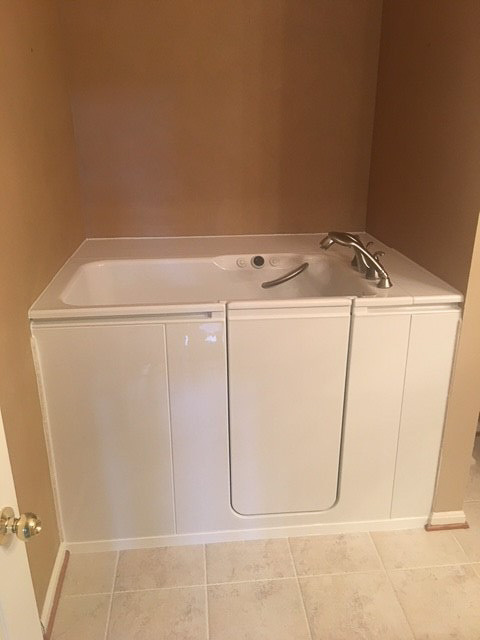 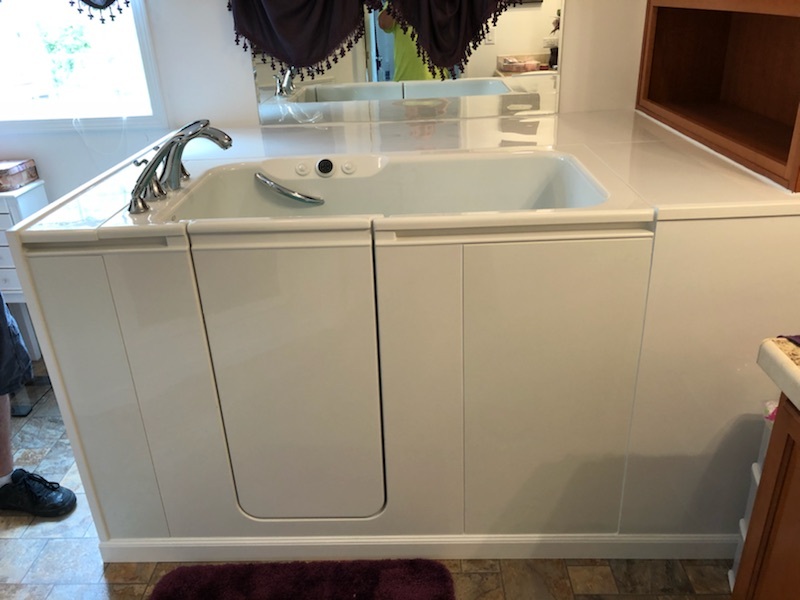 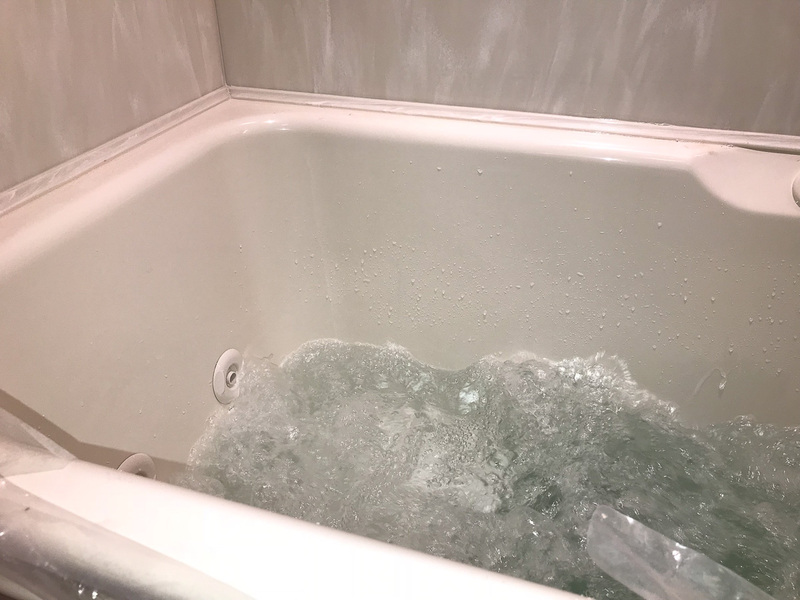 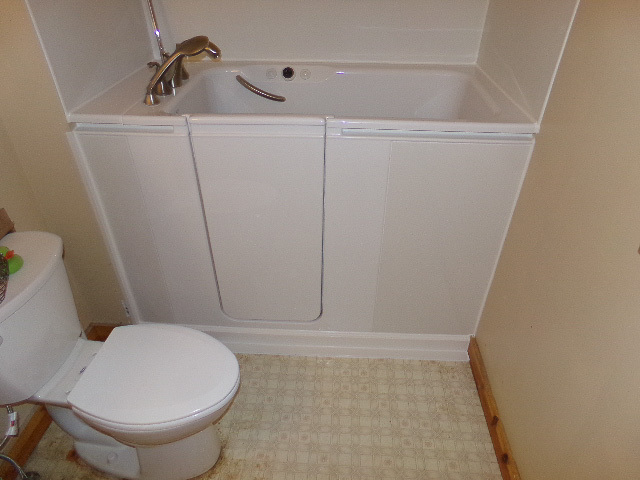 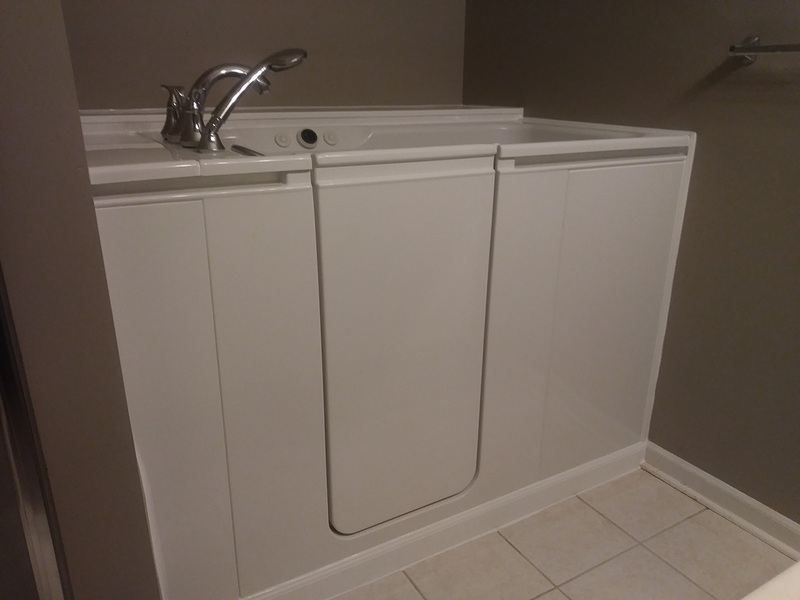 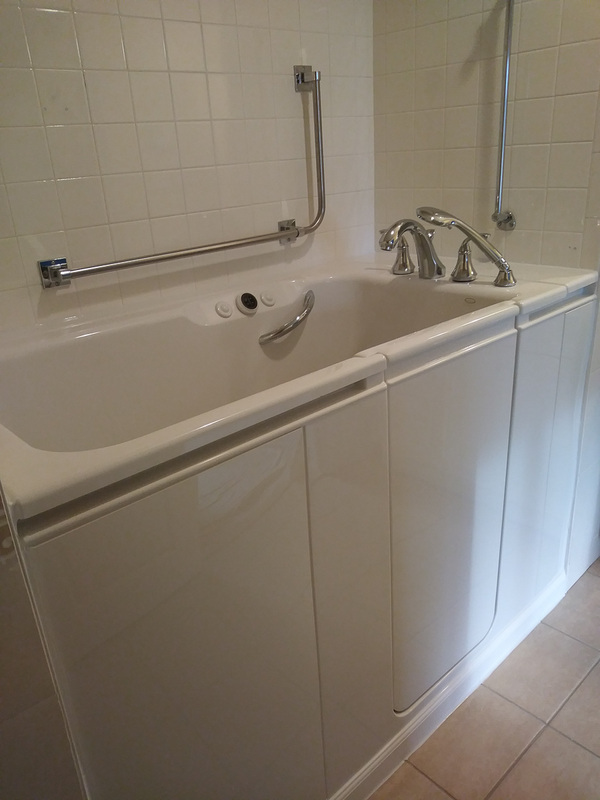 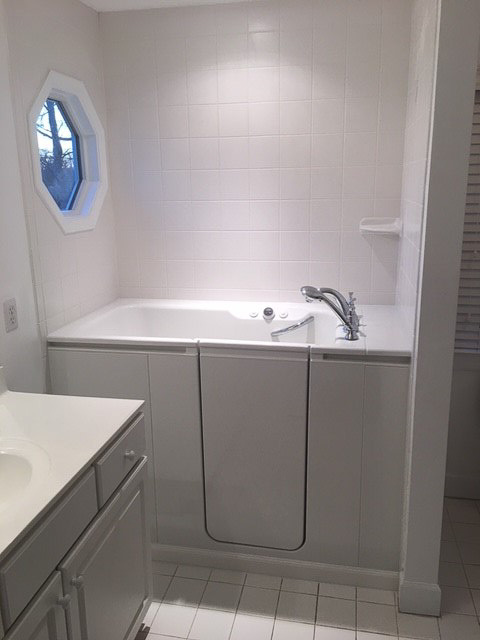 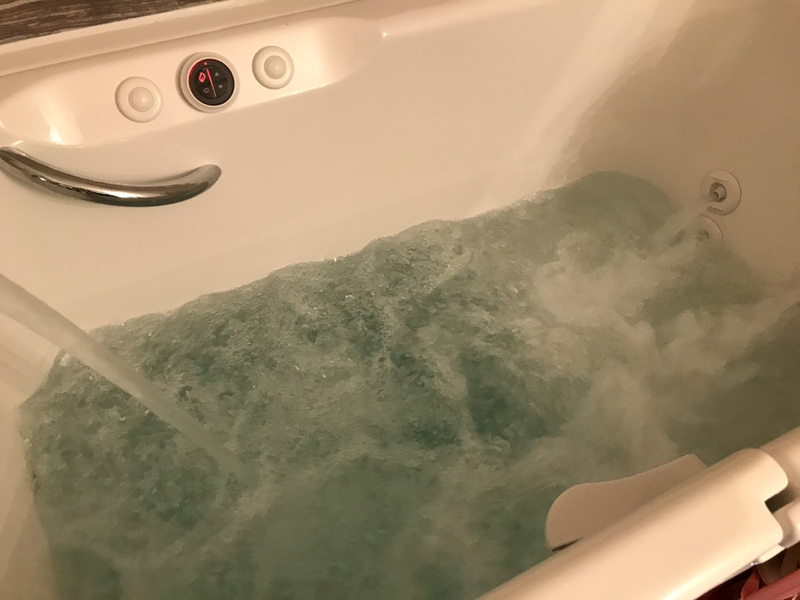 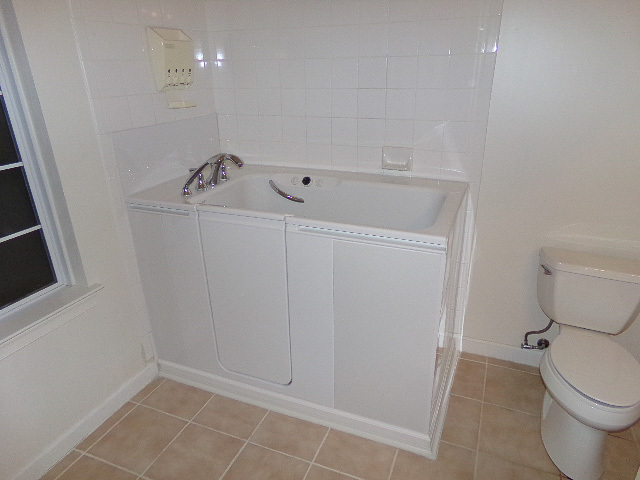 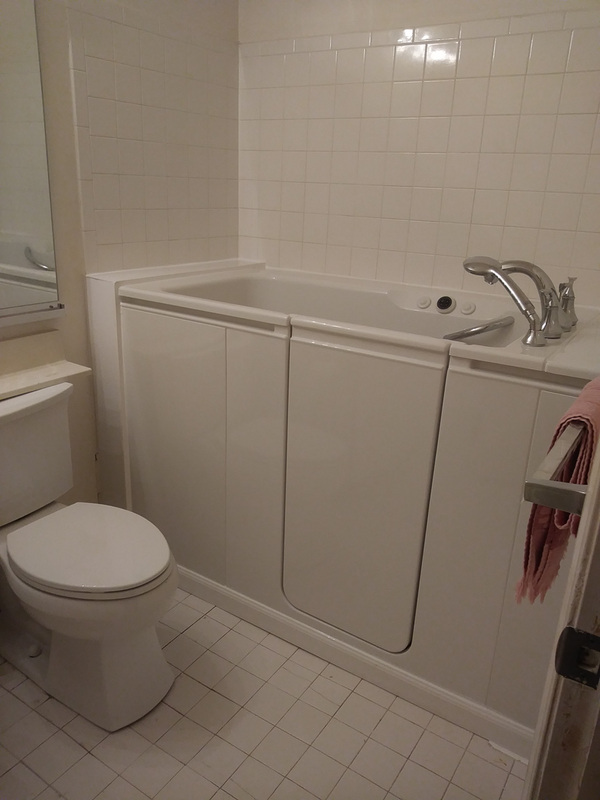 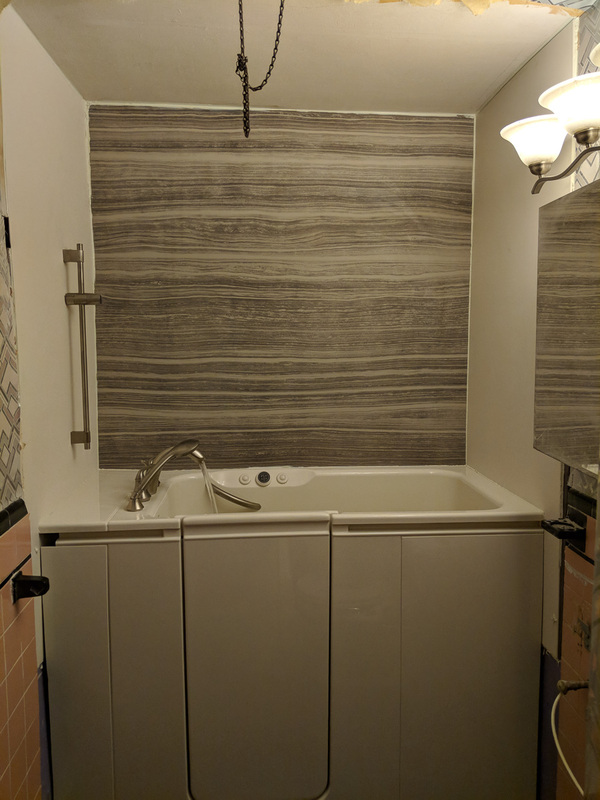 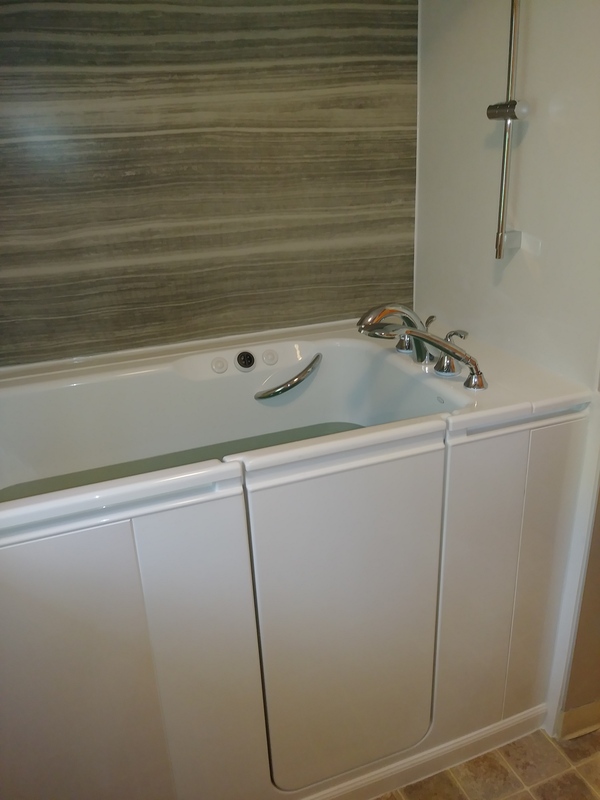 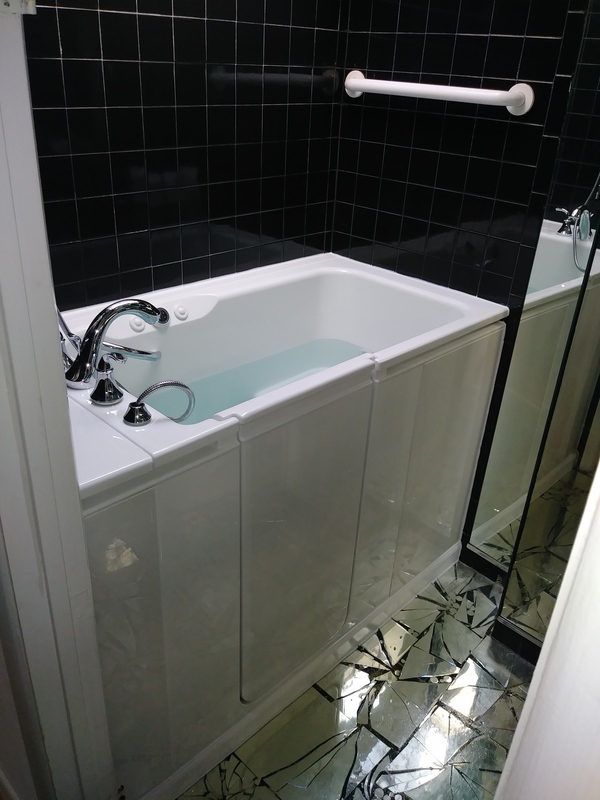 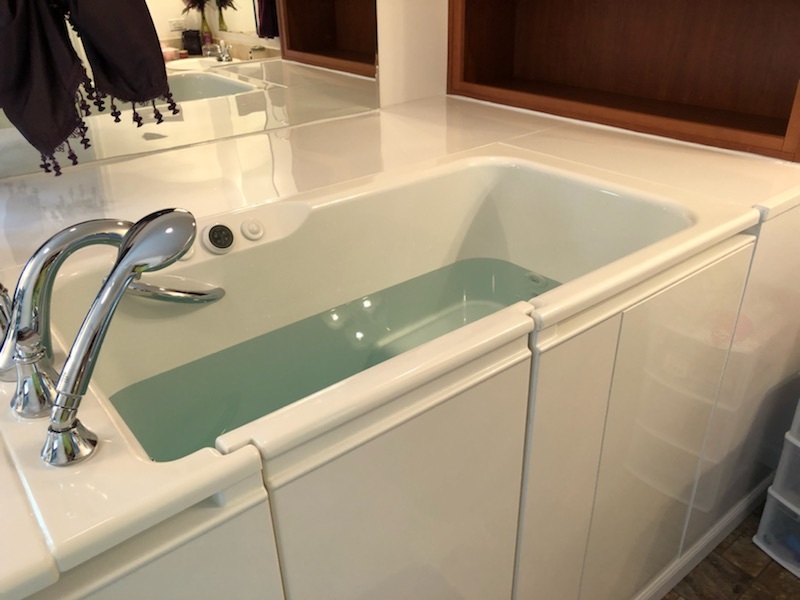 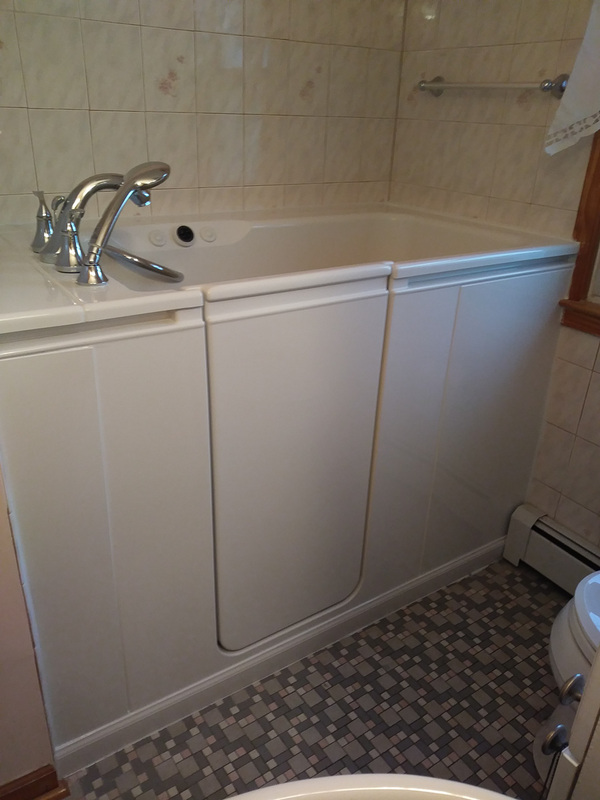 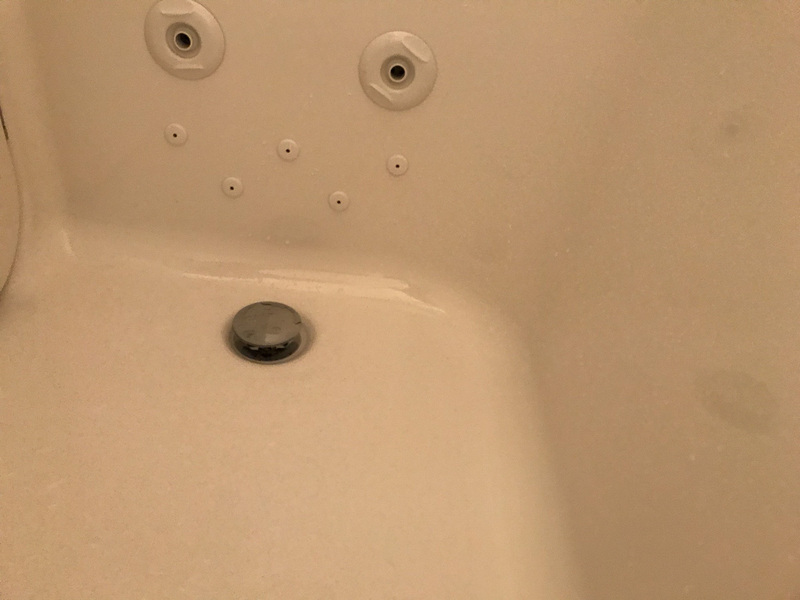 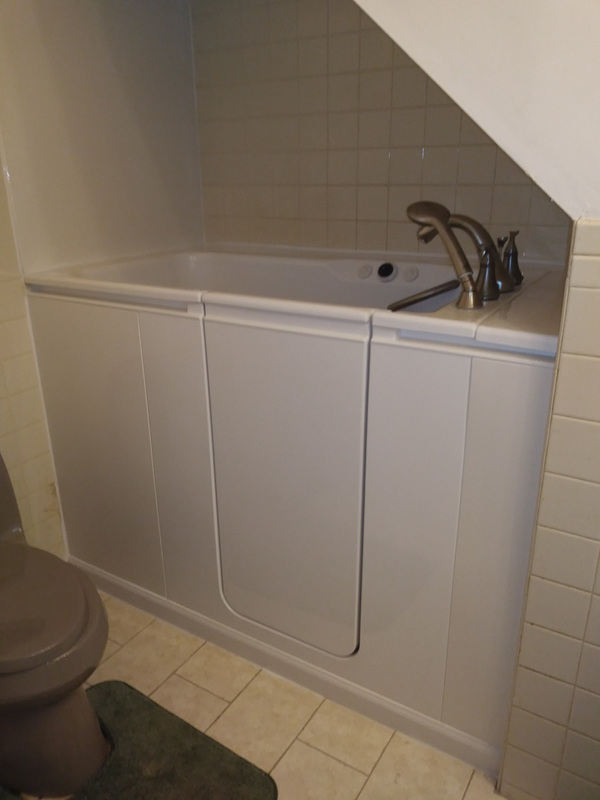 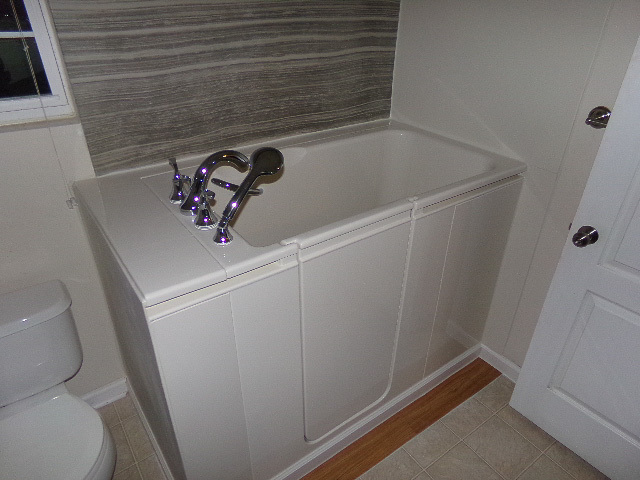 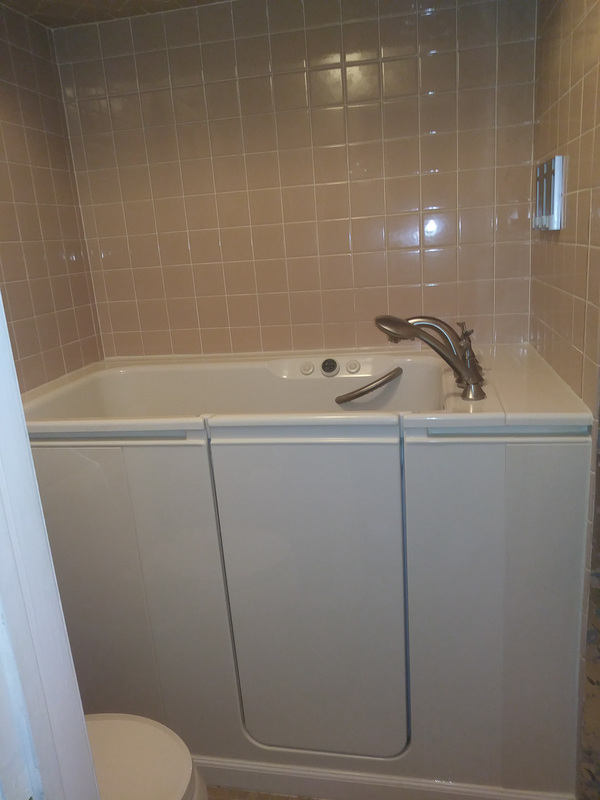 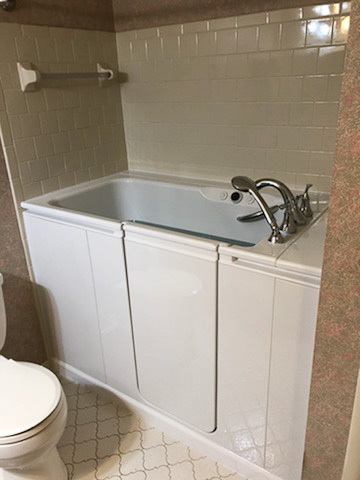 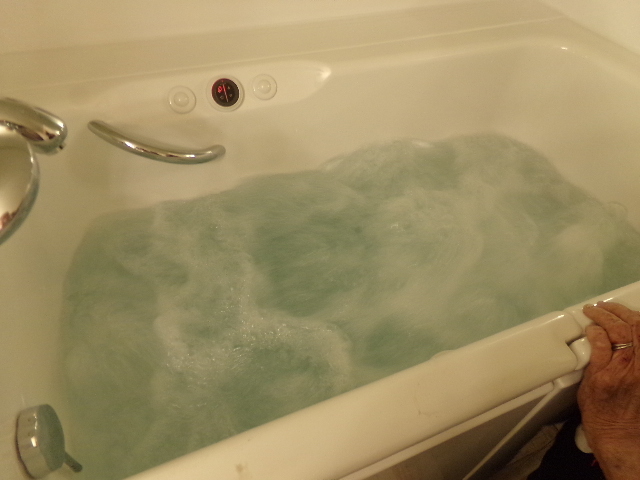 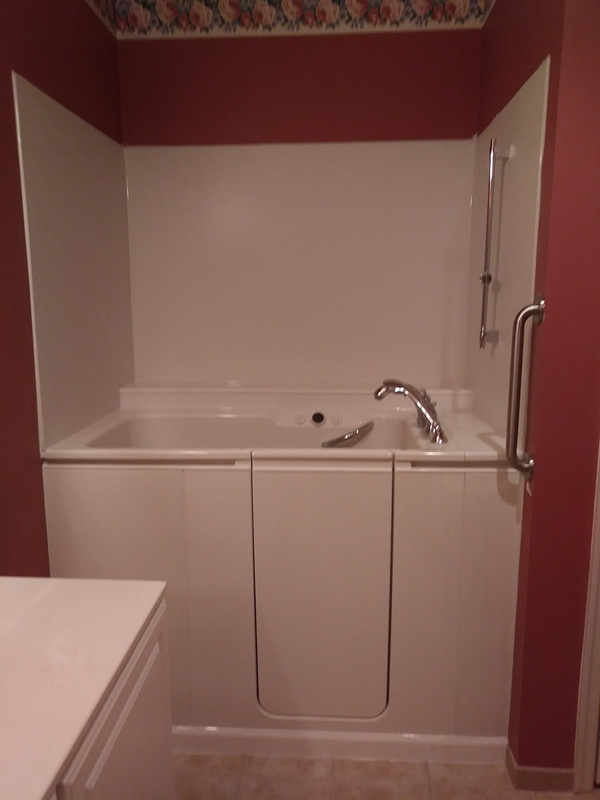 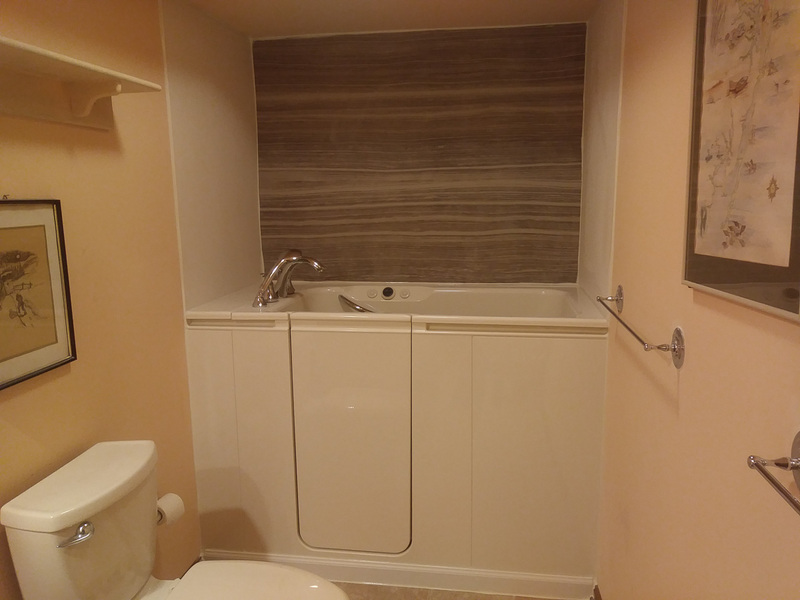 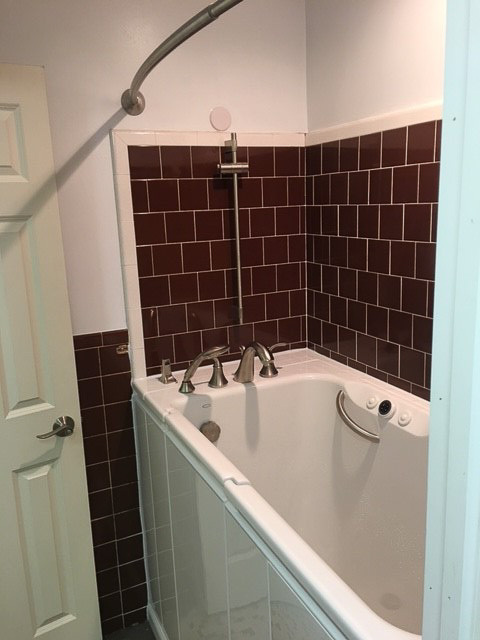 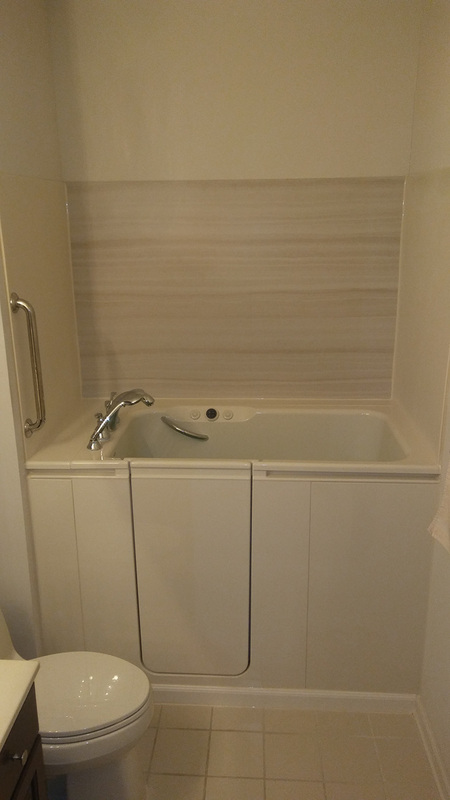 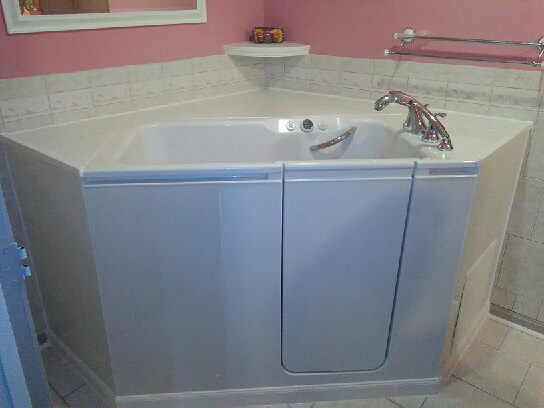 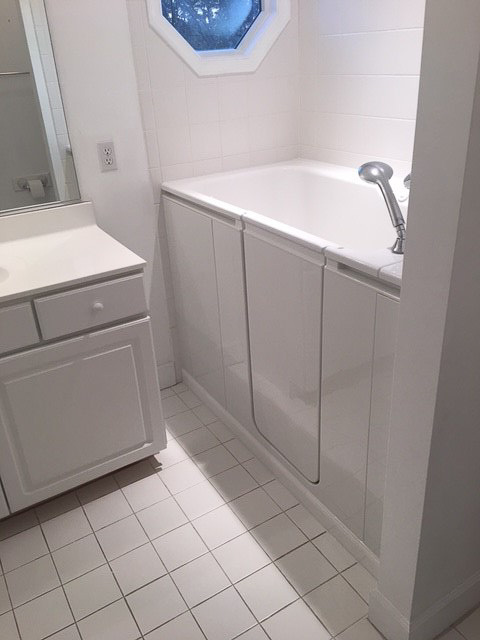 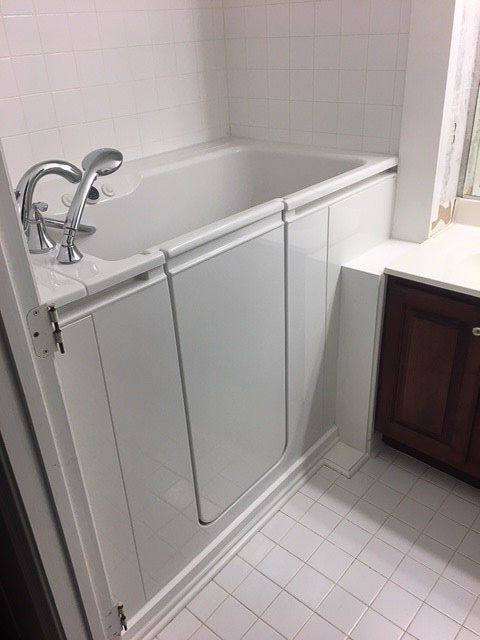 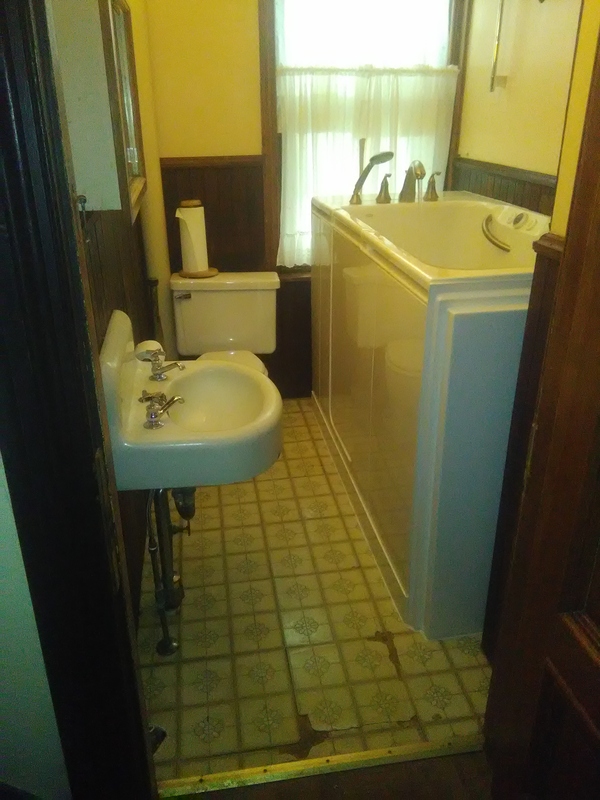 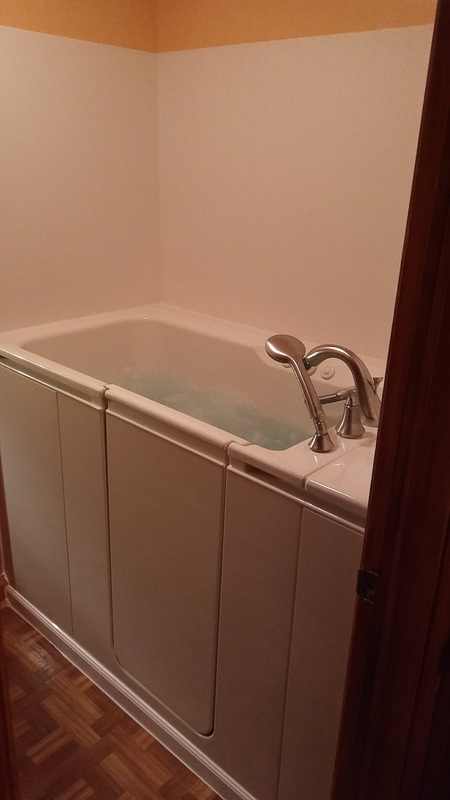 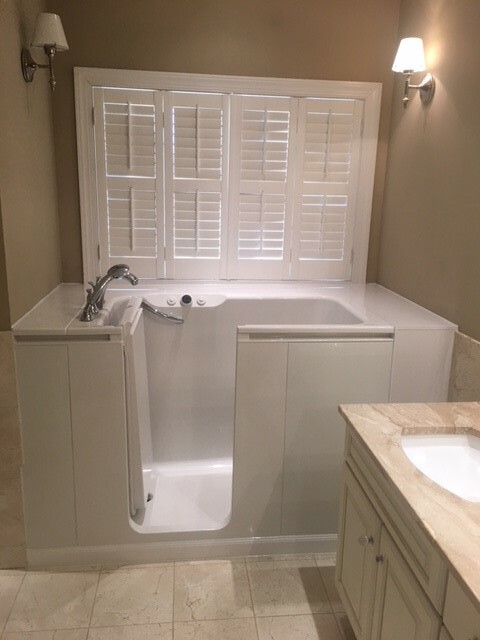 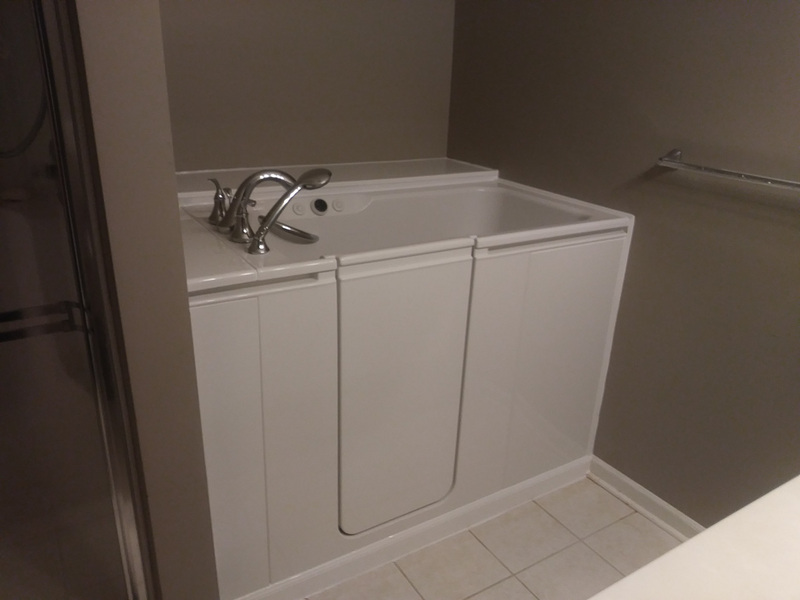 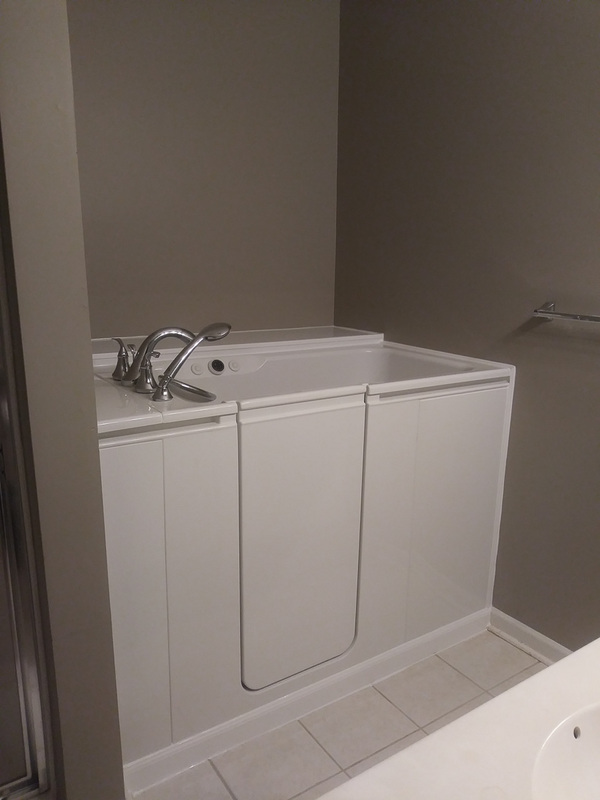 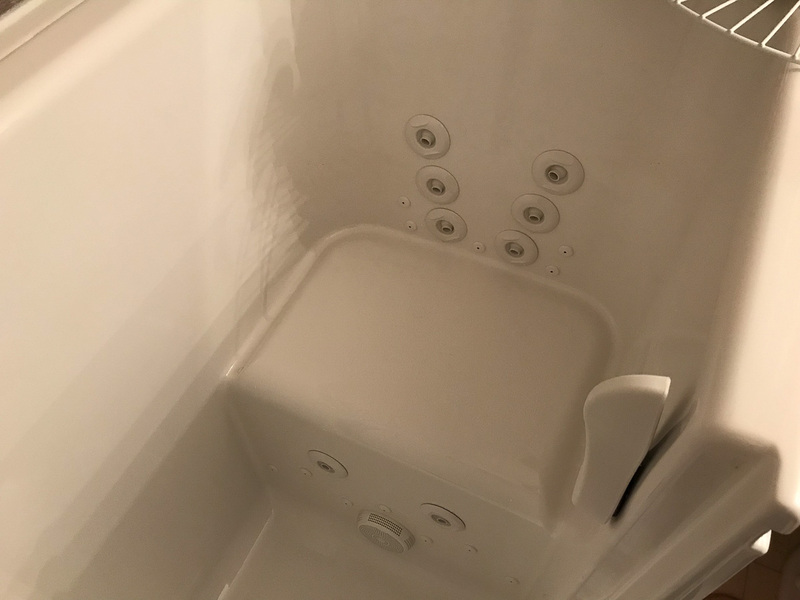 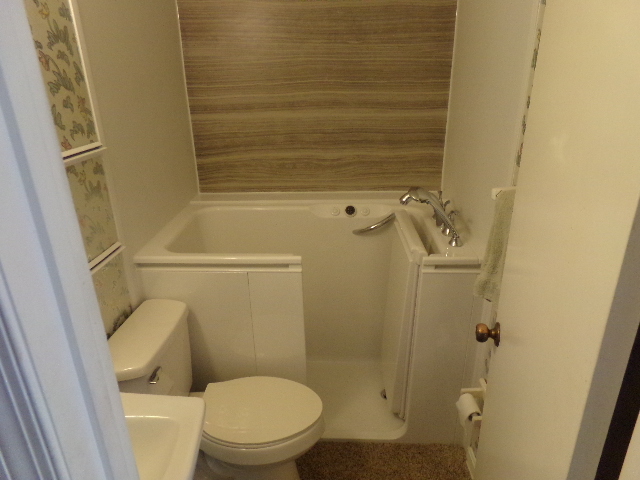 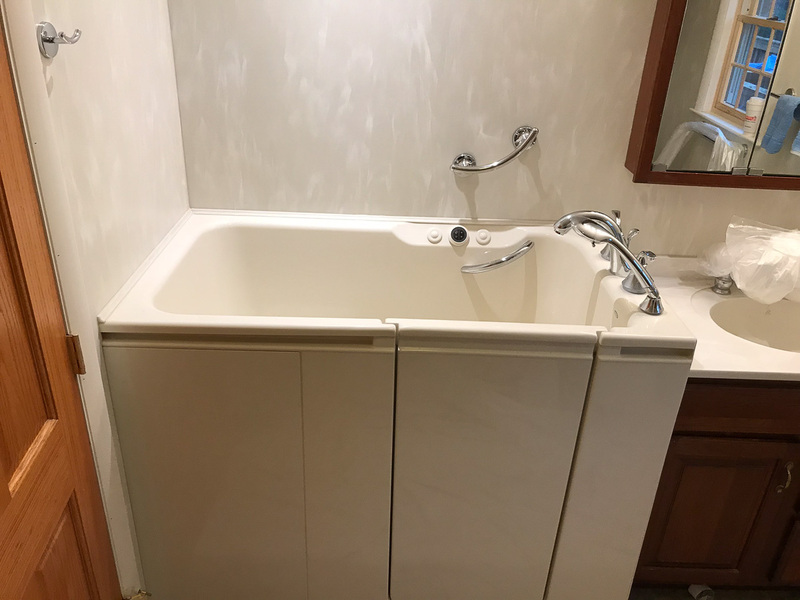 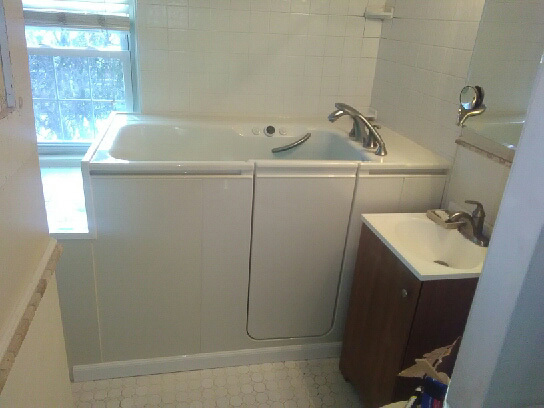 They work together as a team and kept up informed and when the job was completed it was like they had never been here - everything was cleaner and the tub looks great. 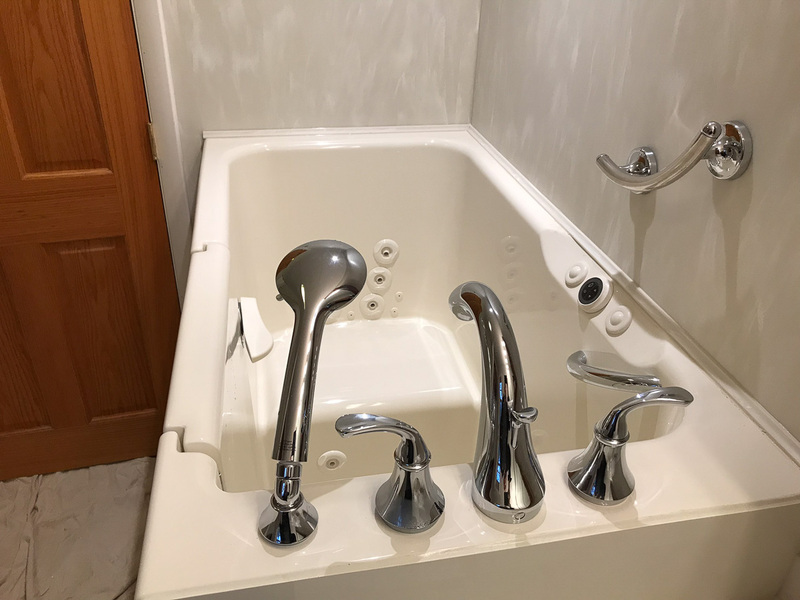 They were excellent and we would recommend them. 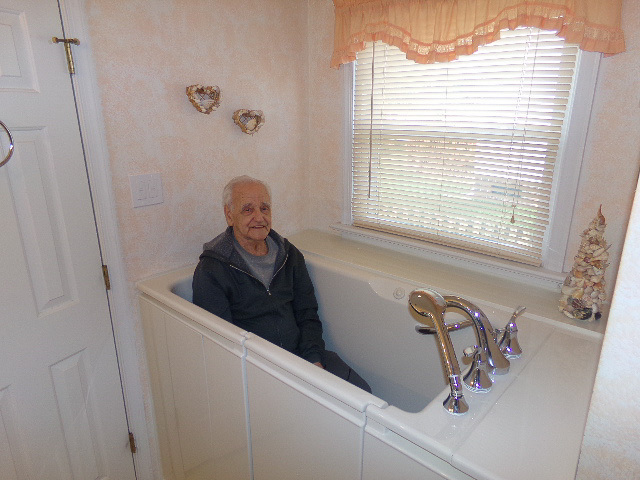 Roy went over the instructions and demonstrated the operations before leaving the premises.